In response to UNFCCC guidance, the GEF established the Strategic Priority on Adaptation (SPA), in 2004 as a $50 million allocation inside of the GEF Trust Fund. The SPA was a groundbreaking initiative designed to support pilot and demonstration adaptation projects that provide real benefits and can be integrated into national policies and sustainable development planning. 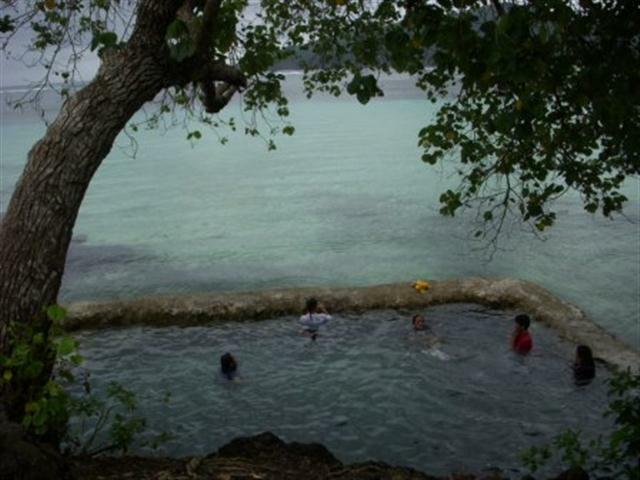 SPA funding was accessible to all countries eligible for GEF funding. The SPA aims at reducing vulnerability and increasing adaptive capacity to the adverse effects of climate change in any or a combination of the six GEF focal areas. “It supports pilot and demonstration projects that address local adaptation needs and generate global environmental benefits”. For more information, visit Strategic Priority for Adaptation (SPA) | Global Environment Facility and click here for SPA Project highlights. 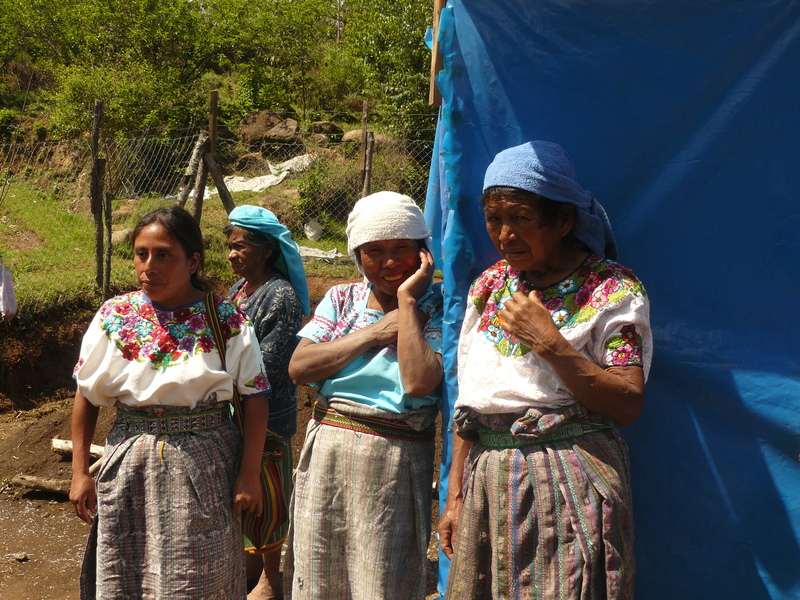 The Pin Pin community is located in the village of Las Majada in Guatemala’s Tacana municipality. 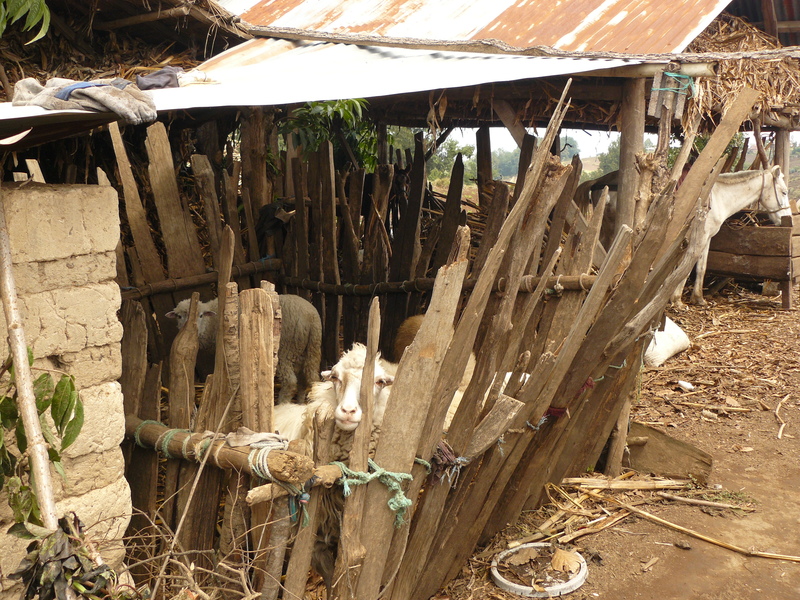 Residents of this densely-populated area mainly rely on subsistence farming. 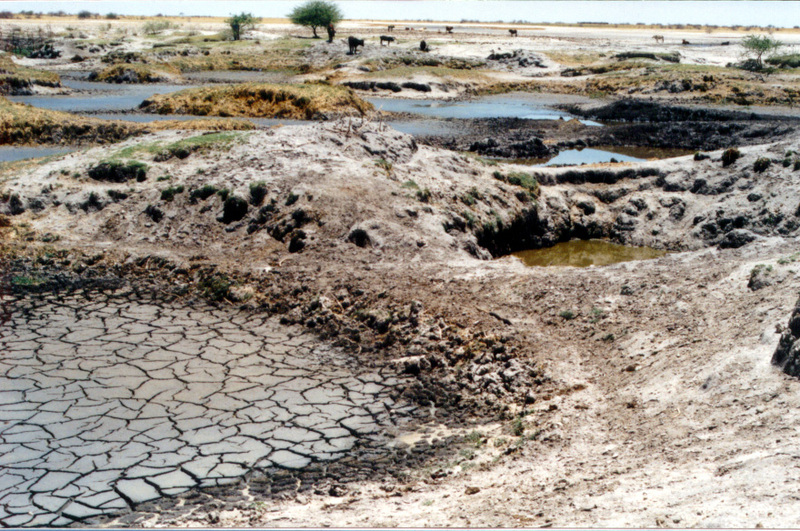 Ecosystems have been degraded due to over-population and poor land distribution. In recent years, the community members have been overwhelmed by the droughts, floods, soil erosion and landslides brought on by the unpredictable climate change events. Decreased production yields and increased incidences of malaria and other health risks due to water contamination are threatening their livelihoods and existence. Additionally, the coniferous forest cover, which contributes to 80% of the productivity in the area, is continually decreasing, as it is non-tolerant of the new weather conditions. 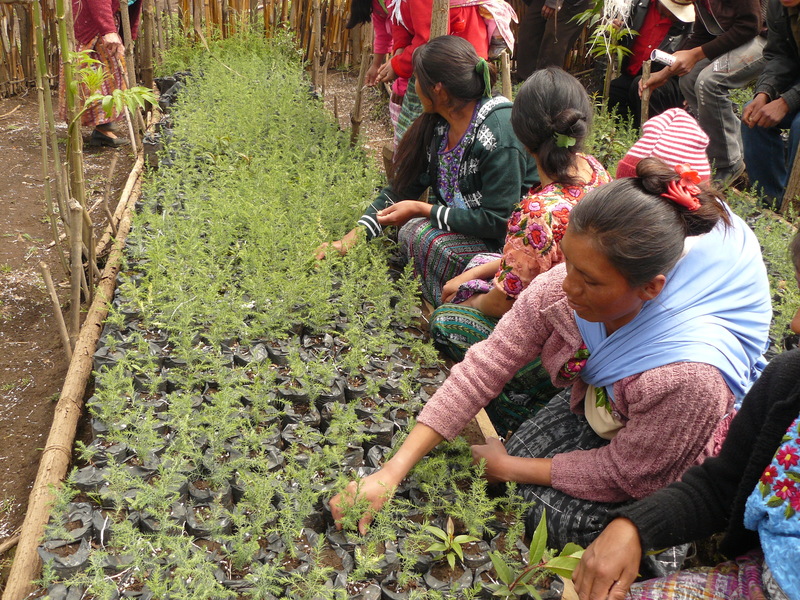 This Community-Based Adaptation project aims to strengthen the Pin Pin community’s resilience to adverse impacts of climate change through reforestation and sustainable soil conservation practices. 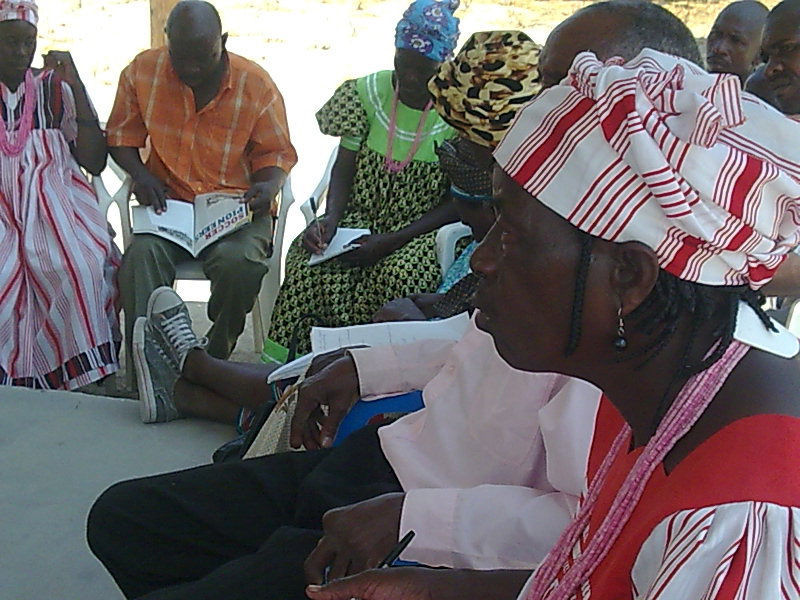 Community members were involved in the planning and implementation of the project. 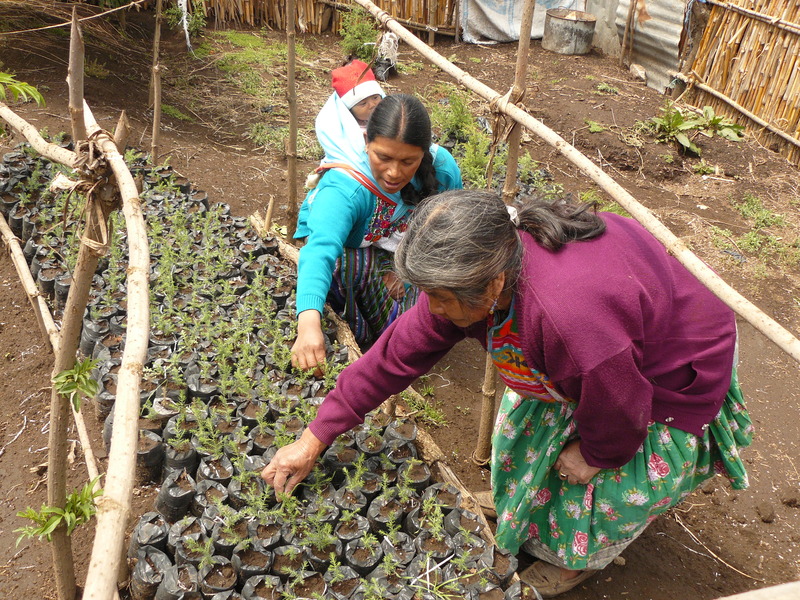 Tree nurseries are established using native seeds, and reforestation activities seek to cover degraded areas, enrich native forests, and provide energy reserves. 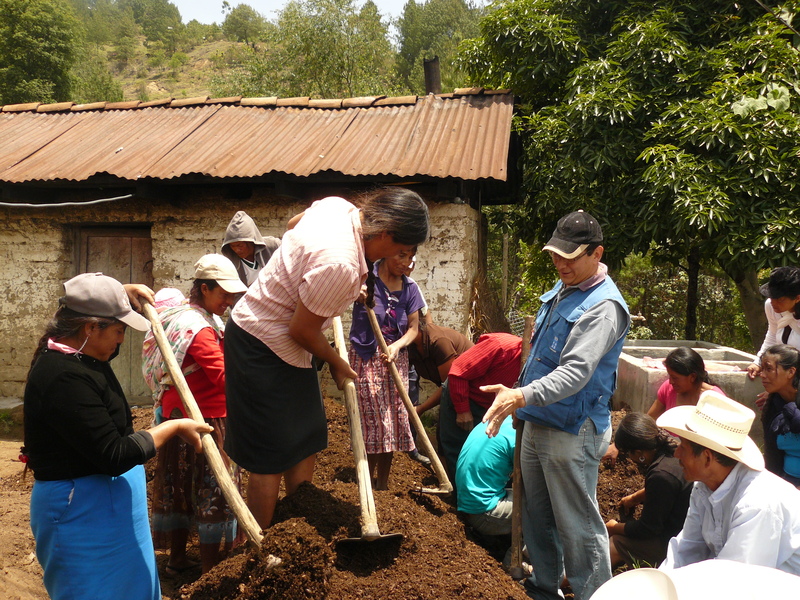 Soil conservation practices will create barriers that decrease pressure from the agricultural frontier, using organic compost to improve crops and soil. Gender mainstreaming is a primary project focus, as women did not politically participate in the municipality before this project. 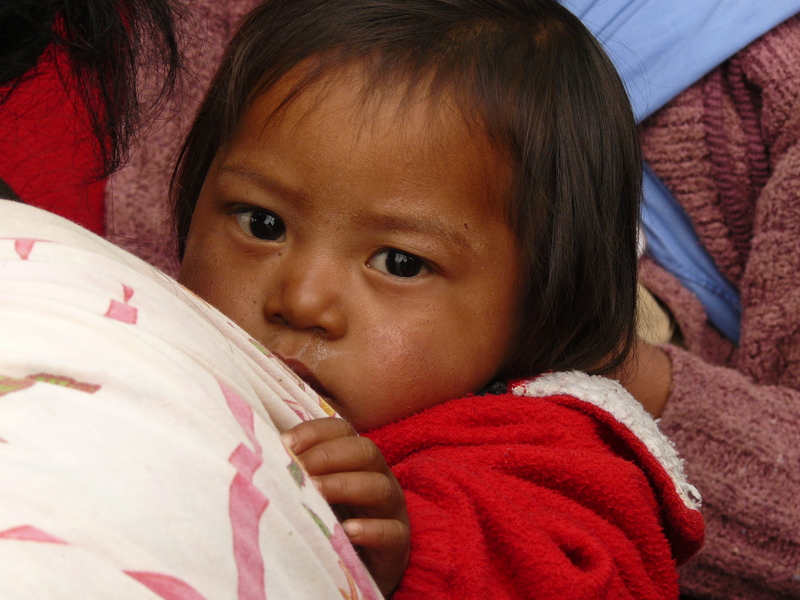 By Guatemala’s Northwest border, the Pin Pin community is located in the village of Las Majada in the Tacana municipality. The project area is located in the river basins and surrounded by the Tacana volcano, which is the second highest peak in Central America at 4,060 meters. It is characterized by deeply dissected plutonic and metamorphic terrain, and a mountainous climate with high humidity. Subsistence farming is the main economic activity in this densely-populated area. Local ecosystems have been degraded due to over-population and poor distribution of agricultural lands. Climate change events, such as heavy rainfall, hurricanes and the increasing recurrences of cold fronts brought on by the El Nino phenomenon in the winter season, as well as higher temperatures and extended range of the hottest months in the summer season, have all exacerbated the ecosystems’ fragility. In recent years, community members have been overwhelmed by the droughts, floods, soil erosion and landslides brought on by unpredictable climate change events. Decreased production yields and increased incidences of malaria and other health risks due to water contamination are threatening their livelihoods and existence. Additionally, the coniferous forest cover, which contributes to 80% of the productivity in the area, is continually decreasing as it is non-tolerant of the new weather conditions. 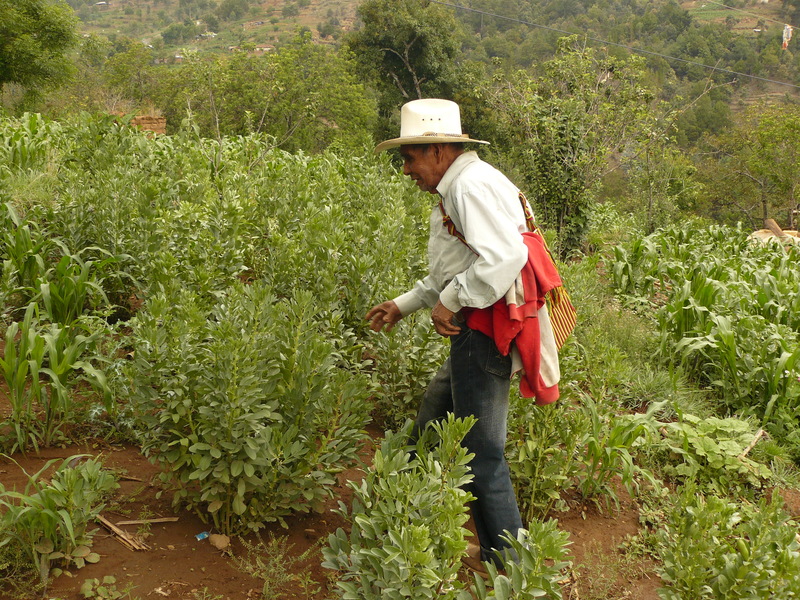 This negatively affects the regeneration, growth and production of fruits, corn and beans. Reduction in corn production is estimated at 15%, as well as a 66% reduction for beans. Lastly, the warming trend in the area interferes with the germination and other crucial life stages of endemic species. 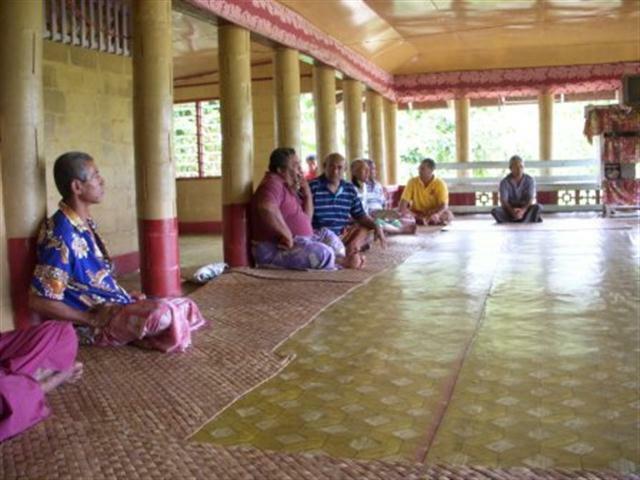 This Community-Based Adaptation project aims to strengthen the Pin Pin Community’s resilience to adverse impacts of climate change through reforestation and sustainable soil conservation practices. 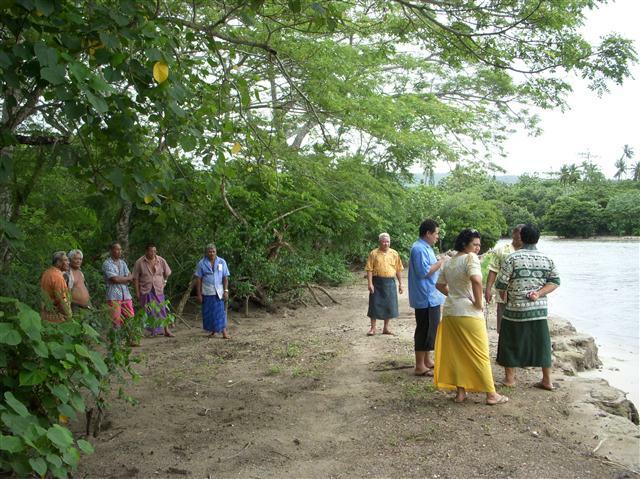 Through a participatory approach, community members were involved in the planning and implementation of the project. 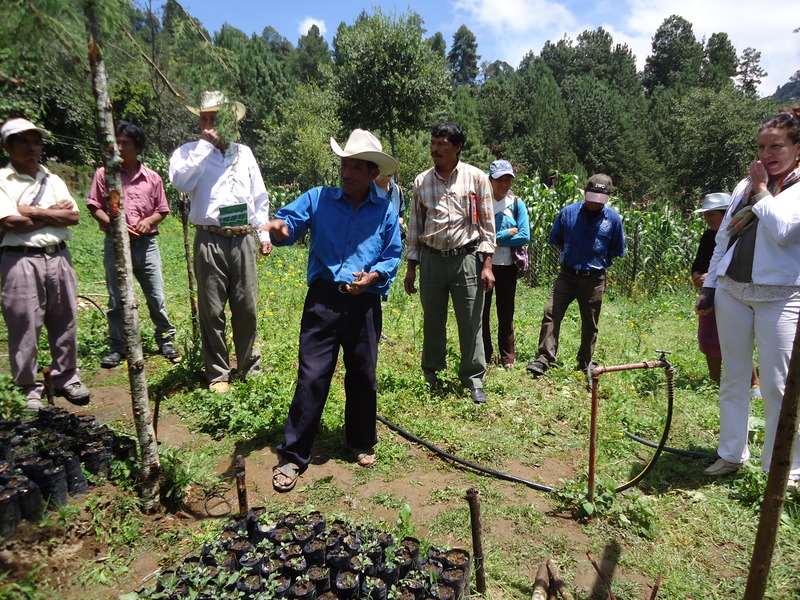 Preservation of native seeds (Pinus Rudis (red pine), Oinus Ayachahuite (white pine), Alnus ssp (alder) and Quercus spp (oak)) in the region and establishment of tree nurseries are used for reforestation activities for the following outcomes: 1.) to recover degraded areas; 2.) to enrich the native forests, and 3.) to provide energy reserves. 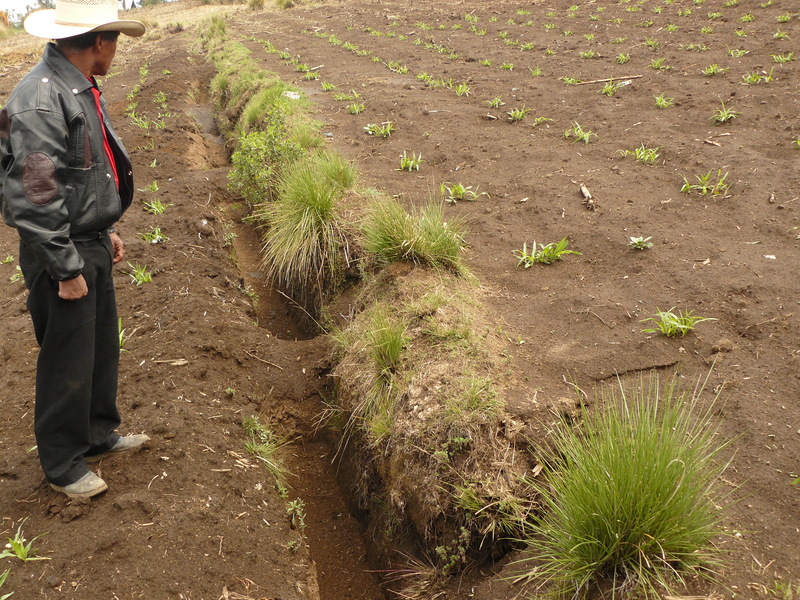 Soil conservation practices include improving ditches, terracing, using barriers to decrease pressure from the agricultural frontier, and using organic compost to improve crops and soil. Gender mainstreaming is a heavy focus of this project as women did not politically participate in the municipality before this project. Best practices, including social inclusion approaches, will be integrated to the Municipal Development Strategic Plan (PEDM). Rescatar con acciones comunitarias organizadas, voluntarias, responsables y orientadas hacia la adaptación al cambio climático y sus impactos locales como perdida de semillas locales, mal régimen de lluvias y cambios bruscos en el clima, que a la vez permitan la conservación de los suelos y especies locales representativas con fines de alimentación, así como reforestar con árboles de interés económico local y global. Outcome 1.0: La comunidad establece un vivero comunitario y produce especies nativas tales como Pinus rudis, (pino colorado) Pinus ayachahuite, (pino blanco), Alnus ssp. (aliso), Quercus ssp (encino-roble) principalmente. Output 1.1: Un vivero comunitario es instalado y funciona para los fines establecidos. Output 1.2: Son producidos 15,000 arbolitos de especies nativas para reforestar áreas de la comunidad de Pin Pin. Outcome 2.0: Se construyen aboneras orgánicas que fertilizan y ayudan a la estructura de los suelos de los asociados y asociadas. Output 2.1: Dos capacitaciones técnicas sobre la construcción de aboneras a 20 socios y socias. Output 2.2: 20 aboneras son construidas, tienen mantenimiento y son aplicadas a los terrenos de los asociados y asociadas. Output 3.1: 20 socios y socias participan en capacitación sobre conservación de suelos mediante terrazas, acequias, barreras vivas o muertas. Output 3.2: 20 socios y socias realizan conservación de suelos aplicando los conocimientos adquiridos, estableciendo al menos .04 Has. de terrazas y .08 Has. utilizando barreras. Output 3.3: Las estructuras de conservación de suelos establecidas tienen mantenimiento. Outcome 4.0: Los socios y socias se han capacitado sobre técnicas agrícolas de bajo impacto ambiental y con orientación a la producción orgánica. Output 4.1: 20 socios y socias son capacitados en la producción Papa (Solanum ssp.). Output 4.2: 20 socios y socias son capacitados en la técnica de rescate, conservación y producción de semillas criollas de granos básicos entre otras. Output 4.3: 20 socios y socias son capacitados en el uso y manejo adecuado de pesticidas. Output 4.4: 20 socios y socias son capacitados y producen abonos orgánicos. Output 4.5: 20 socios y socias son capacitados y producen foliares orgánicos. Outcome 5.0: Los socios y socias han plantado la plantilla producida en el vivero (reforestación) con fines de proteger su microcuenca, obtener bosques energéticos y la protección de fuentes de agua. Output 5.1: 20 socios y socias reciben capacitaciones sobre reforestación. Output 5.2: 15,000 árboles son plantados de común acuerdo y tienen mantenimiento. Outcome 6.0: El grupo ha sido fortalecido en conocimientos sobre adaptación y mitigación al cambio climáticos, biodiversidad y sobre organización. Output 6.1: Capacitación sobre cambio climático y adaptación al cambio climático, dirigida a 20 socios y socias son realizadas. Output 6.2: Capacitación sobre organización, género y violencia, comercialización y biodiversidad dirigida a 20 asociados y asociadas son realizadas. Outcome 7.0: La organización ha sido fortalecida en su capacidad organizativa, administrativa y monitoreo. Output 7.1: 20 socios y socias son fortalecidos en su capacidad organizativa y participativa. Output 7.2: 20 socios y socias son fortalecidos en su capacidad administrativa. Output 7.3: Una organización es fortalecida en sus capacidades de monitoreo. Hurricane Stan was the eighteenth named tropical storm and eleventh hurricane of the 2005 Atlantic hurricane season in Central America. Floods and mudslides obliterated many communities including the project site, the Taltimiche village. 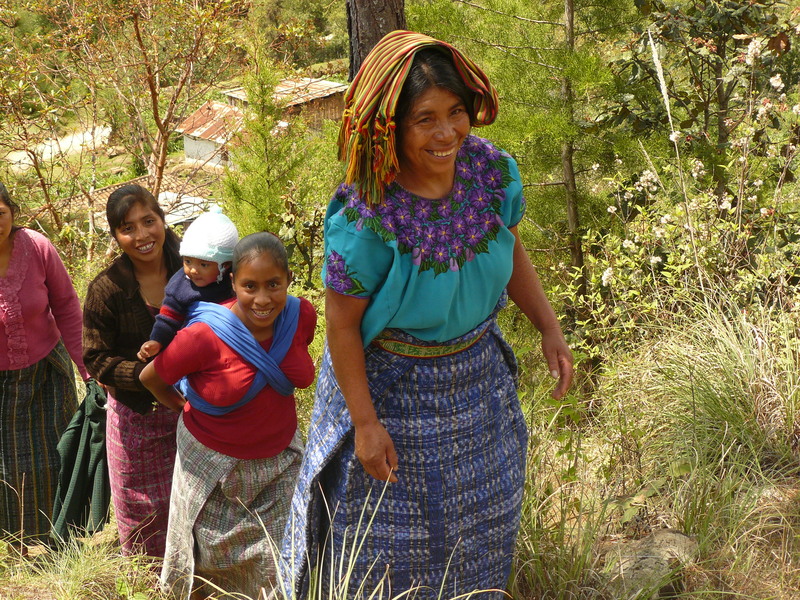 Located in the highlands of Guatemala’s San Marcos department, the communities’ lands were completely destroyed. To cope with the damages, the community members started planting tree nurseries using their own money. However, climate change variabilities such as torrential storms with strong winds, higher temperatures, longer summer seasons with prolonged periods of droughts and occasional frosts exacerbate the soil erosion and water shortage in the area, increasing the occurrence of landslides. 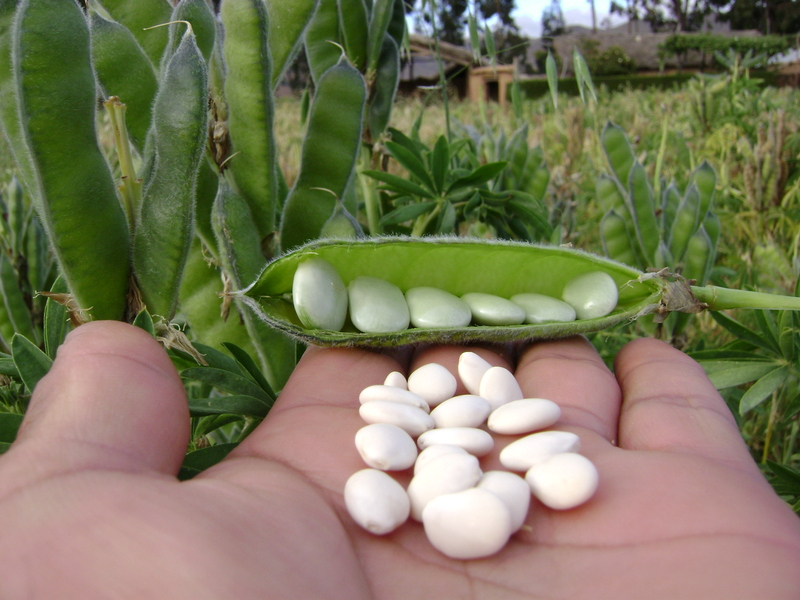 These lead to loss of agricultural production of basic grains and threaten the food security of the community members who locally produce 70-80% of the food they consume. 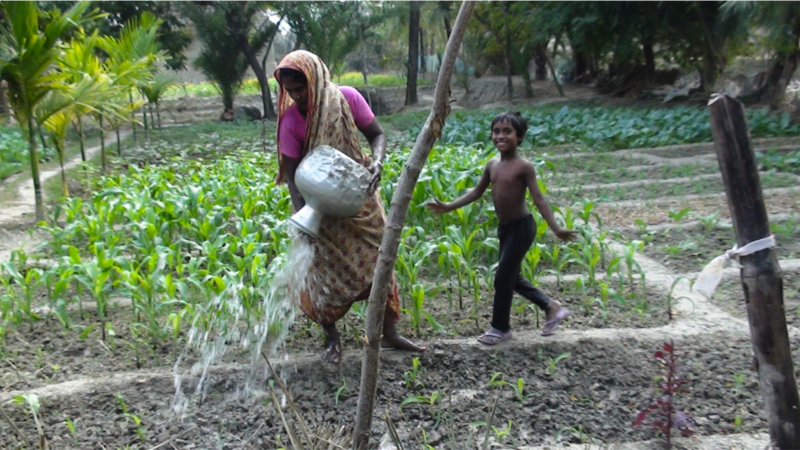 In addition to relying on agriculture for subsistence, the community members also rely on agriculture for income generation. 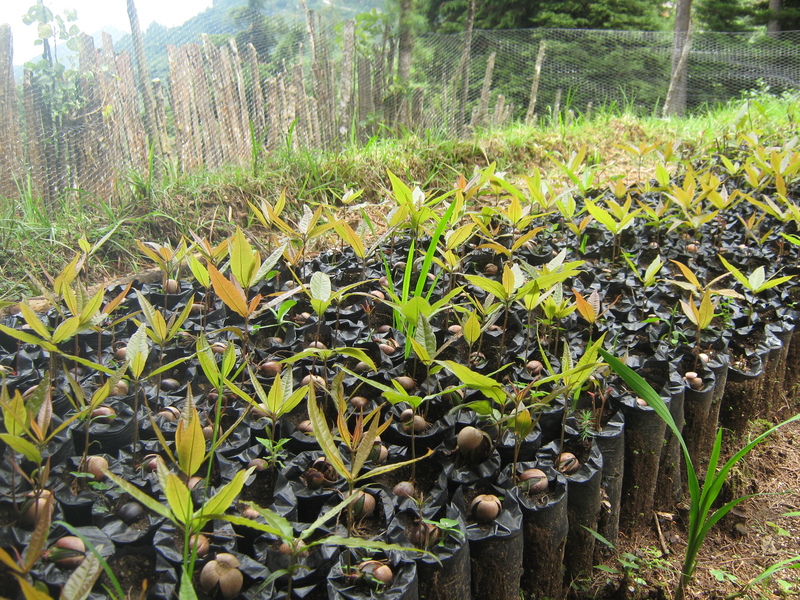 In this regard, this Community-Based Adaptation project enhances the communities’ on-going activities by building nurseries to produce 35,000 trees of native species such as pine, alder, oak and cypress. 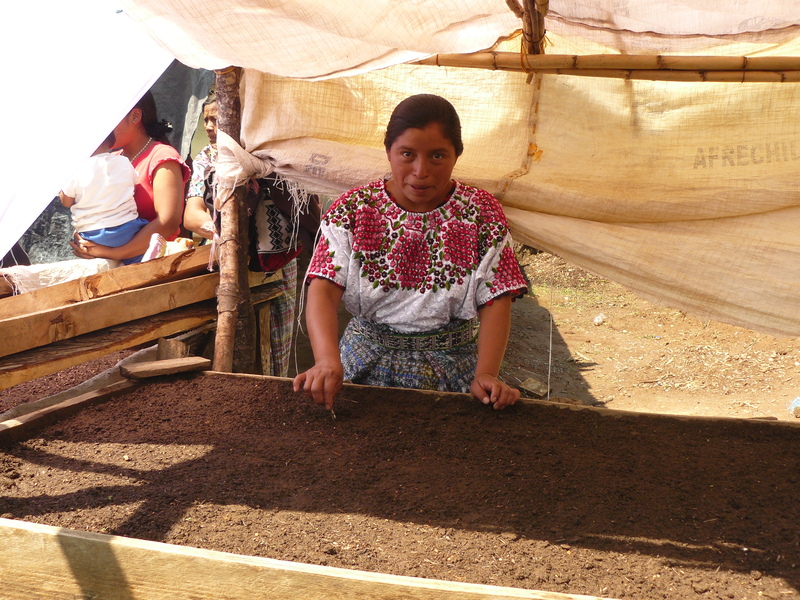 Using a participatory approach, knowledge-raising and capacity-building workshops are given to the community members on climate change, its impacts and the adaptive solutions including: reforestation, soil conservation techniques, crop management and revitalizing other native species such as potatoes and beans. 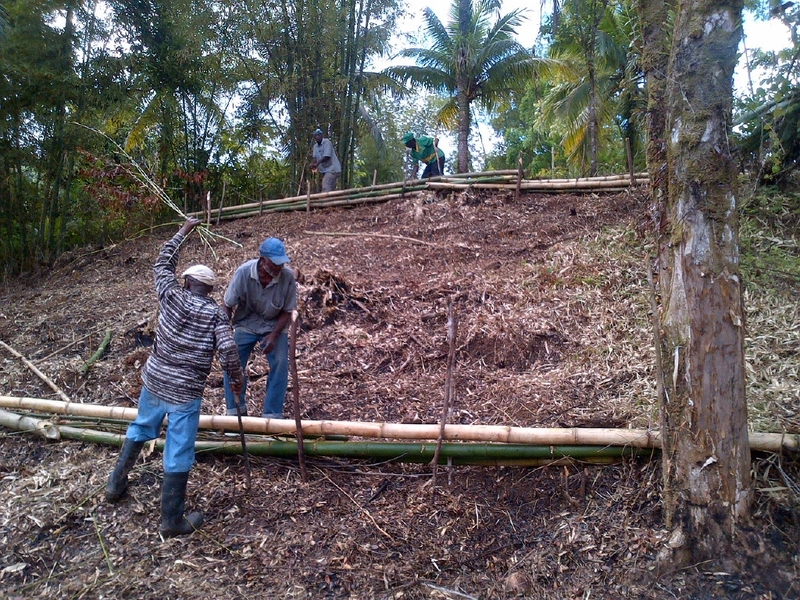 Terracing, using stones, and other techniques to help lessen the damages of landslides are also covered. Hurricane Stan was the eighteenth named tropical storm and eleventh hurricane of the 2005 Atlantic hurricane season in Central America. Floods and mudslides obliterated many communities including the project site, the Taltimiche village. 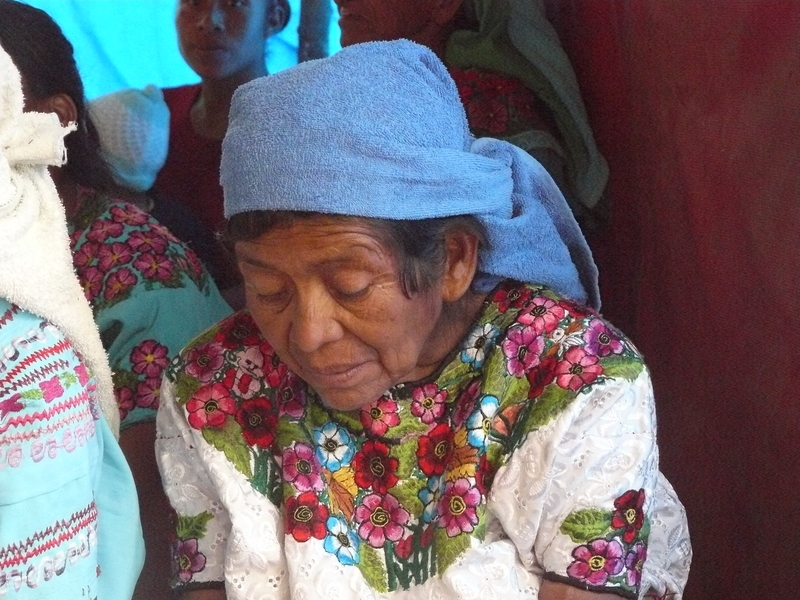 The communities’ lands in the highlands of Guatemala’s San Marcos department were completely destroyed. 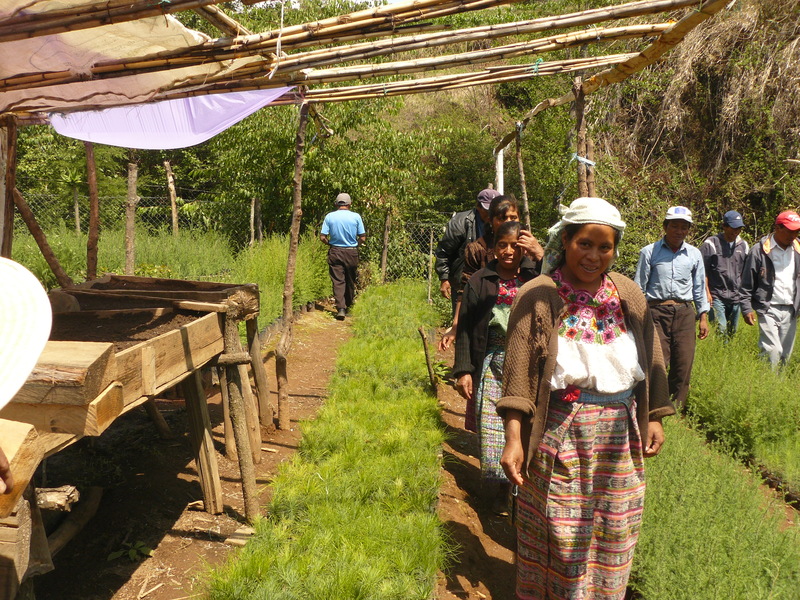 To cope with these damages, the community members started planting tree nurseries using their own money. However, climate change variabilities such as torrential storms with strong winds, higher temperatures, longer summer seasons with prolonged periods of droughts and occasional frosts exacerbate the soil erosion and water shortage in the area, increasing the occurrence of landslides. These lead to loss of agricultural production of basic grains and threaten the food security of the community members who locally produce 70-80% of the food they consume. In addition to relying on agriculture for subsistence, the community members also rely on agriculture for income generation. Project Objective: Implement climate change adaptation in the Village Taltimiche, Comitancillo Township, promoting community participation have livelihoods. Outcome 1.0: Development of a nursery for trees to get to later transplanted to areas where the number of trees need little or reforestation.It will produce 35.000 seedlings of pine and alder species in an area of 2 strings. Output 1.1: Training Forest nursery. Outcome 3.0: Soil Conservation in 0.88 acres to prevent erosion, landslides and loss of fertility. Outcome 4.0: Reforestation with native species 80 strings ( Cupressus (cypress), Pinus (pine), Quercus (oak) and Alnus (alder). Output 4.2: Management Training Reforestation. Outcome 5.0: 9 trainings for strengthening knowledge and skills of 40 male and female members of the group. 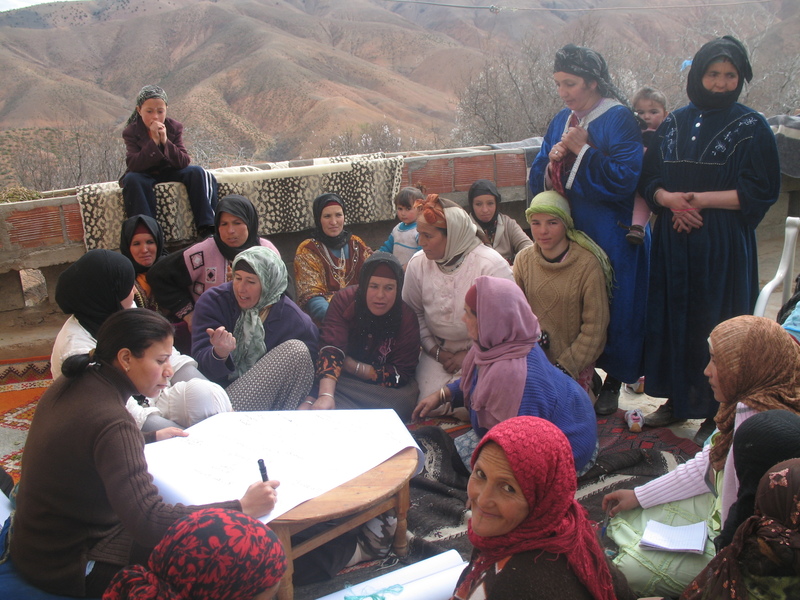 Output 5.1: Development of 9 trainings with topics: Gender, climate change, adaptation to climate change, domestic violence, administration and finance, biodiversity, community organization, pesticides and organic fertilizers. Output 6.2: Management of potato production. 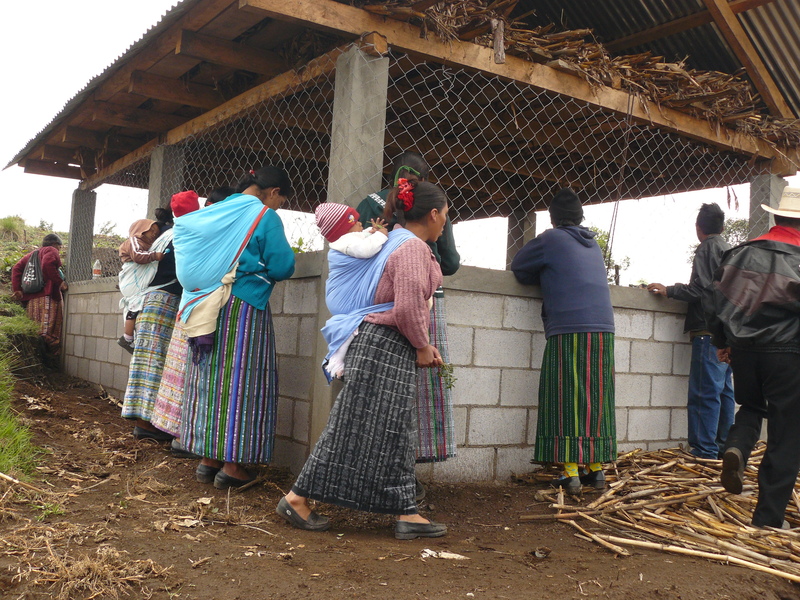 Decreased precipitation in Guatemala is having negative effects on local water resources, as well as the people and ecosystems that depend on them. In the village of Piedra del Fuego, natural springs and water resources are not as abundant as they have been previously. This reduces the amount of water available for both household consumption and agricultural use. Cultivation is limited by the lack of irrigation, creating an economic strain on households who must work harder to provide basic food needs. Decreased rainfall has also caused the loss of forested areas. Without plant root systems to secure topsoil, heavy erosion during intense rainfall is an increasingly common problem in winter months. 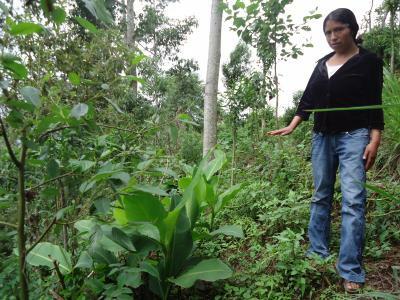 This Community-Based Adaptation project aims to reforest degraded areas with tree saplings and improve local agricultural techniques. Improved methods focus on soil conservation and crop intensification. In addition to the planting tree saplings, community tree nurseries and warehouses will be built to support continued reforestation activities on degraded land. 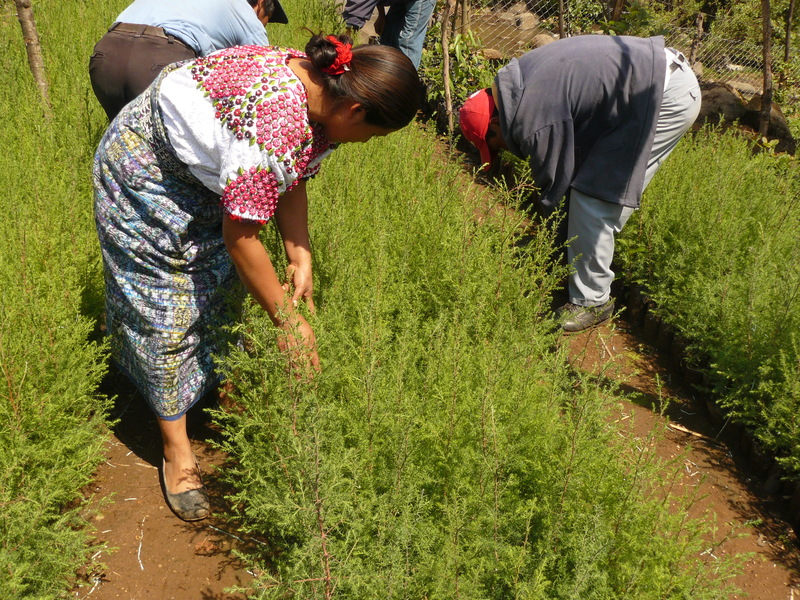 This project focuses on the indigenous people of the Los Reforestales community, located in the Comitancillo municipality of the Santa Marcos department in western Guatemala. 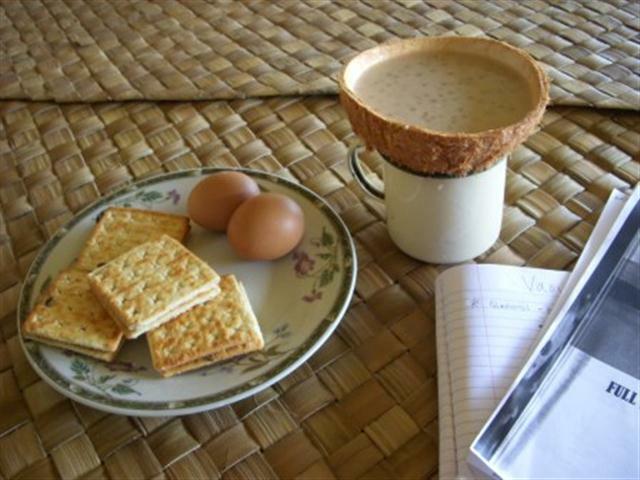 According to the Ministry of Food and Nutritional Security (SESAN), this area is ranked no. 5 with regard to indigenous populations dedicated to grain production for subsistence agriculture (corn and beans) and income-generating agriculture. They also rely on raising bovine and ovine for food and income on a smaller scale. Approximately, 70-80 percent of local production is for the community’s own consumption. The municipality of Comitancillo has 6,722 acres of land to grow grains, which constitutes 49.5% of the municipal territory. However, this area currently can only be used for forestry, and not for agricultural production due to its degraded state. 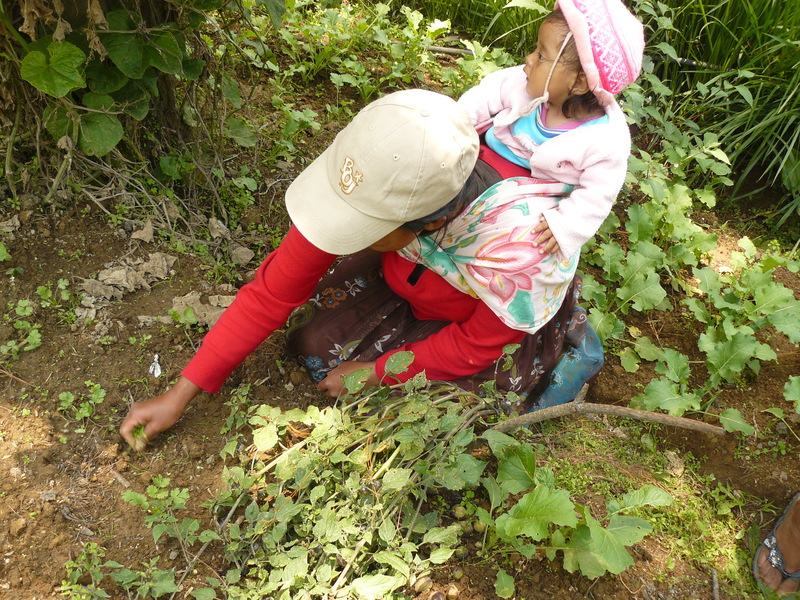 The ancestral pieces of land that the Los Reforestales community own are in the same non-agricultural conditions. 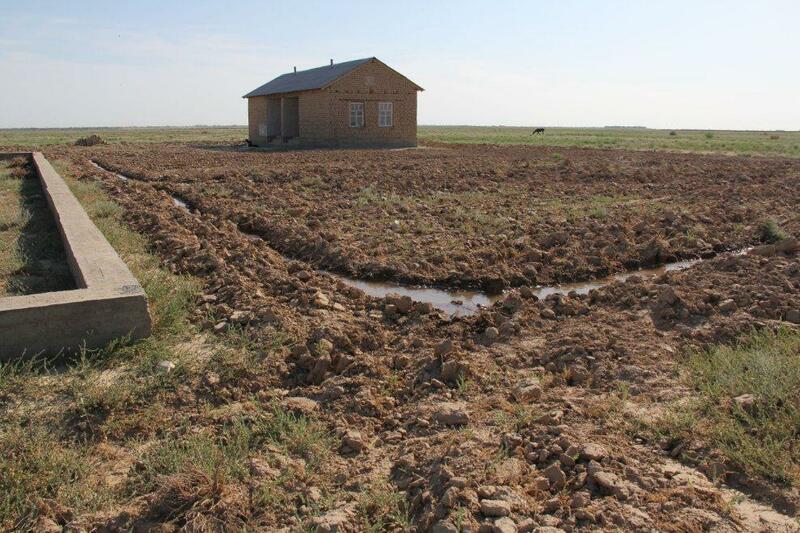 Soil erosion and water scarcity is a main problem in the area due to the non-existence of soil cover to protect against heavy rains and not having enough water infrastructures to save rainwater. Climate change impacts such as irregular and torrential rains, droughts and increased temperatures exacerbate the conditions in the area. The project sites have increasingly experienced more landslides and mudslides, loss of soil fertility, loss of flora and fauna, extinction of endemic species and water pollution. The community members lack knowledge on climate change and need help in coping with its adverse impacts to ensure food security and protect their land. This Community-Based Adaptation project aims to strengthen the Les Reforestales community’s resilience to climate change through participatory awareness-raising and capacity-building workshops in sustainable land management and water conservation. 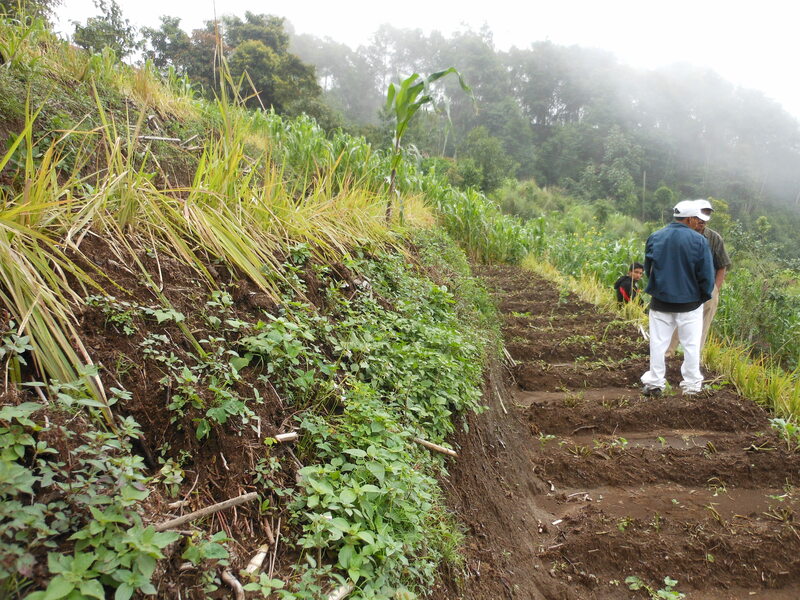 Prior to this project, some farmers have used terracing to adapt to climate change impacts. 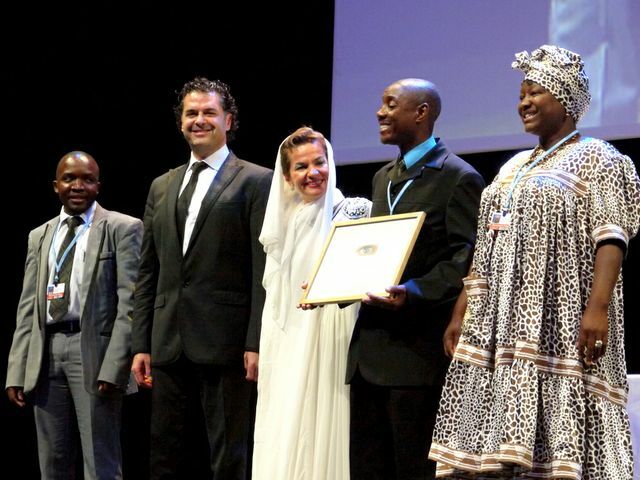 However, there is a great need to transform the thinking and actions of the whole community, so that the local people might act in unity to cope with the climate change impacts that are threatening their ecosystems and livelihoods. Activities such as reforestation, forest nursery management and community forest plantation management using native species (cypress and alder) will be implemented through the project. 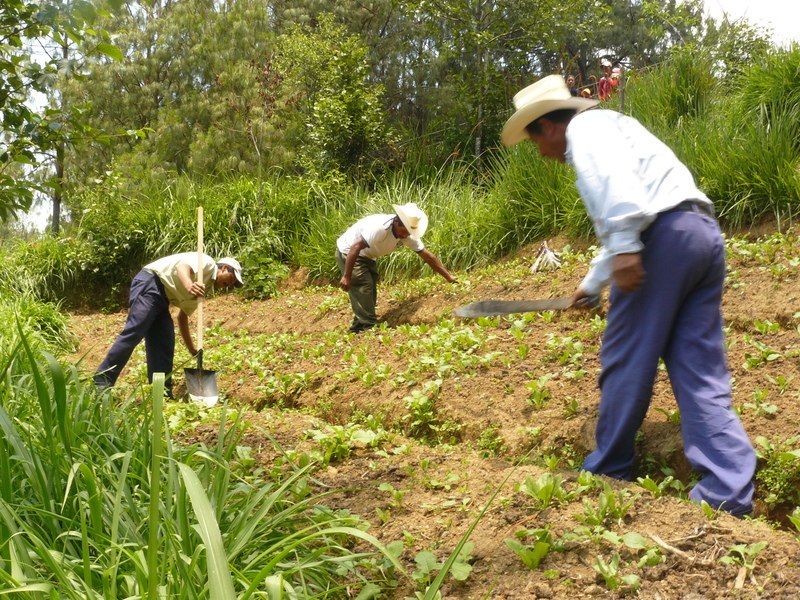 The use of organic fertilizers will be introduced, and activities to lessen soil erosion, prevent landslides and increase the soil fertility will be taught and practiced in demonstrations and trainings. Additionally, rotational grazing for sheep and cattle will be better managed to lessen the soil erosion and improved galleys are built for effective water conservation. All training workshops and activities are interactive, and the needs of all community members, regardless of gender, age and physical and mental abilities, are addressed. More than 1000 volunteers, in the neighboring communities, are anticipated to be reached throughout the project cycle. 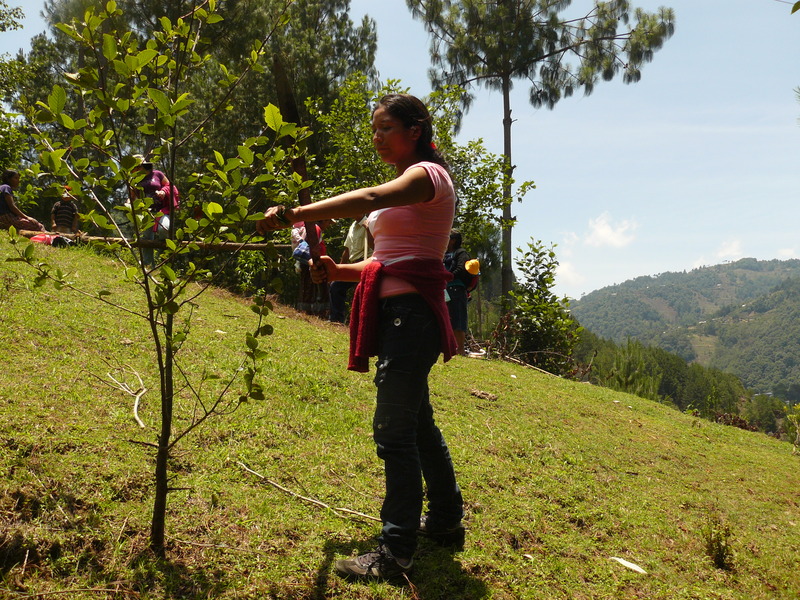 Project Objective: Contribute to the community land "La Florida" as an alternative climate change adaptation, minimizing cattle grazing pressures on the lower montane wet forest ecosystem. This project will be used as a case study. Outcome 1.0: Improved Twenty galleys established for sheep and cattle on a smaller scale to prevent soil depletion and destruction of flora by trampling. Output 1.3: Improved galleys Community Management. 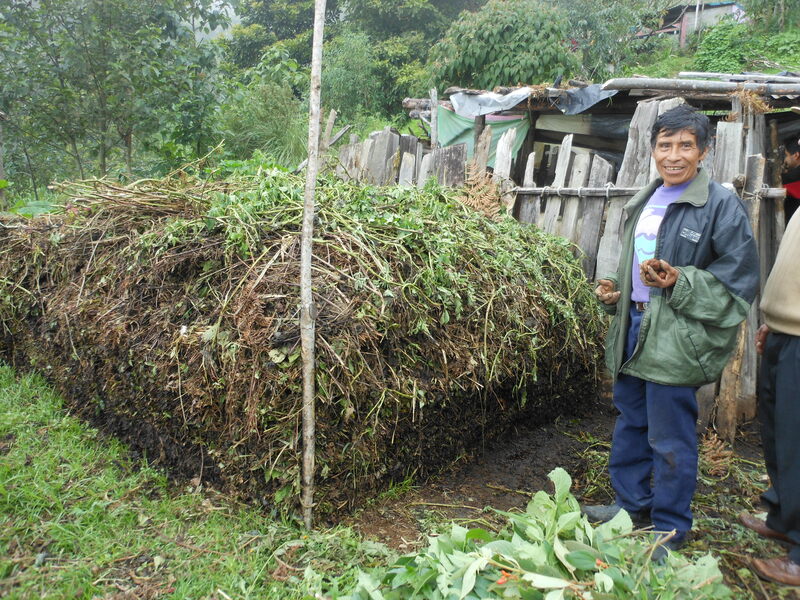 Outcome 2.0: 24 composting organic manure made ​​from sheep and cattle feedlot improving soil fertility. 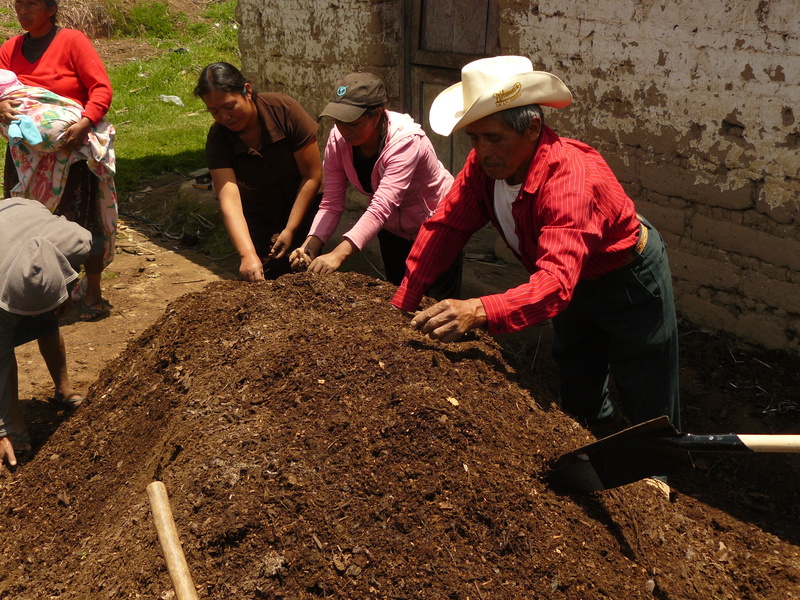 Output 2.2: Development of a compost per household to obtain products for structure and improve soil quality. 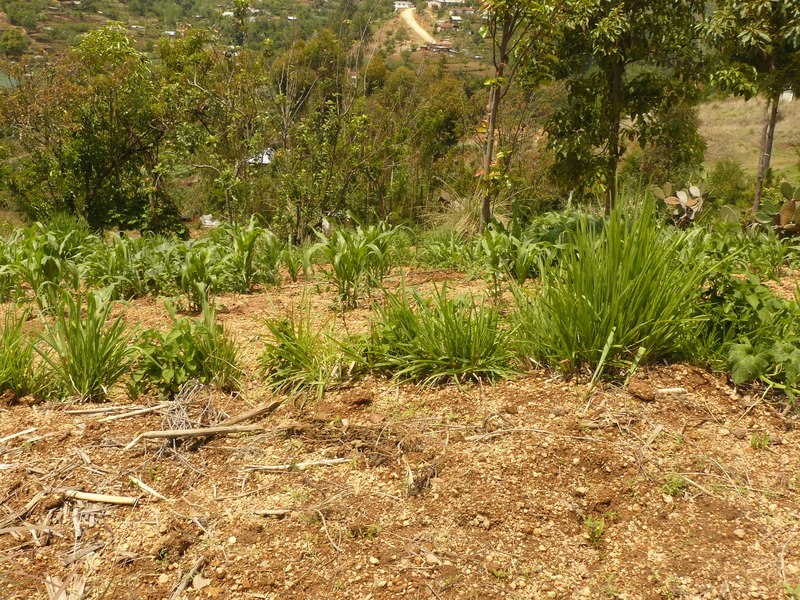 Outcome 3.0: Soil conservation measures at 1.06 acres that minimize the impact of climate change effect preventing erosion, landslides and loss of fertility. Output 3.1: A Soil Conservation training. Output 3.2: Implementation of soil conservation measures. Output 3.3: Maintenance of soil conservation structures. Output 4.2: 2 trainings on: a) forest nursery management b) reforestation and community forest plantation management. Output 4.5: Maintenance of reforested areas. Outcome 5.0: A training process has been developed to assist in capacity building and knowledge of women and men in the group. Output 5.1: Workshops: Climate change, administration and finance, community organizing, domestic violence, two adaptive, risk management. It is increasingly recognized that small communities are likely to be the most severely affected by climate change impacts and yet are least equipped to cope and adapt. This pilot project is designed to implement community-based projects that seek to enhance the resiliency of communities, and/or the ecosystems on which they rely, to climate change impacts. It will essentially create small-scale/policy laboratories and generate knowledge about how to achieve adaptation at the local level. 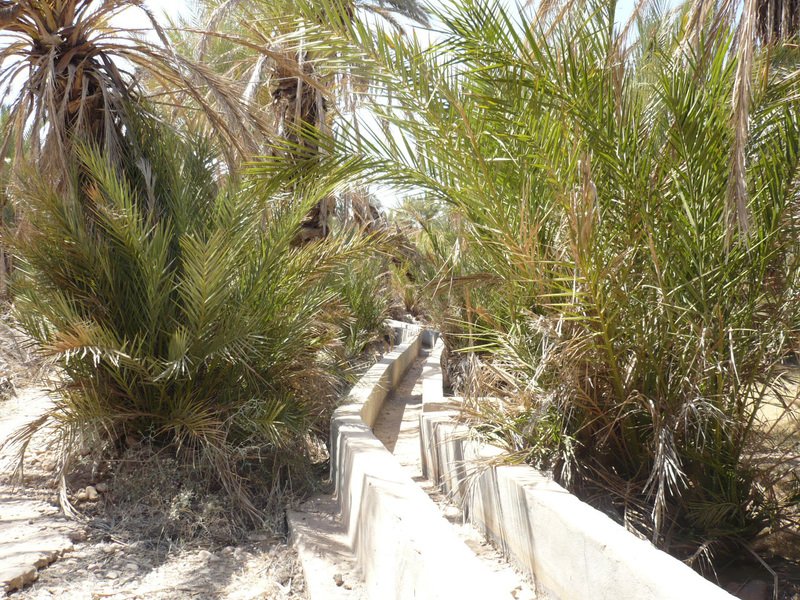 Ten participating countries (Bangladesh, Bolivia, Guatemala, Jamaica, Kazakhstan, Morocco, Namibia, Niger, Samoa, and Vietnam) each developed, planned and implemented a portfolio of community-level adaptation projects. The UNDP-ALM pages linked below feature information on each of these projects, including a detailed description, expected results and outputs, funding, and associated documents. 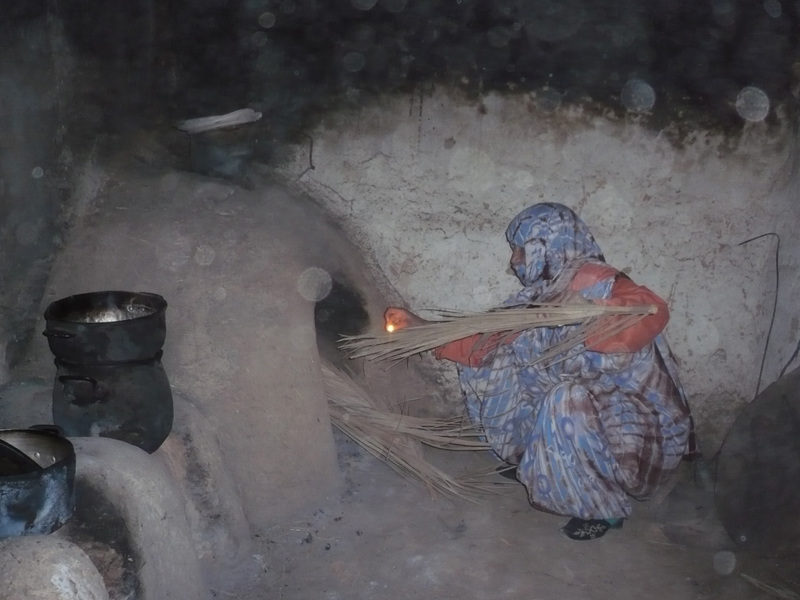 This video produced by UNV's "Share the Story" project. Visit facebook.com/unvolunteers for more. 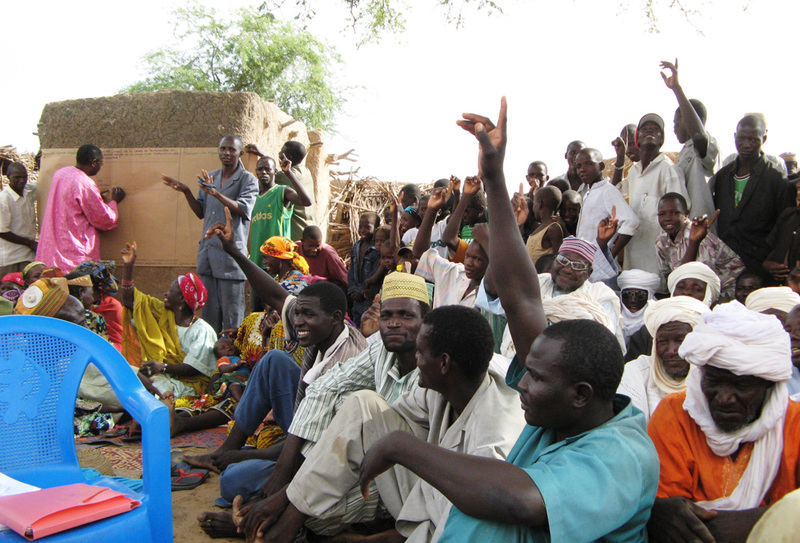 Recognizing that small communities are often the most severely affected, yet the least equipped to deal with the impacts of climate change impacts, the GEF council proposed that 10% of the resources under the Strategic Priority on Adaptation be channeled to community-based activities through the mechanism of the GEF Small Grants Programme (SGP) (document GEF/C.23/Inf.8/Rev.1, May 11, 2004). 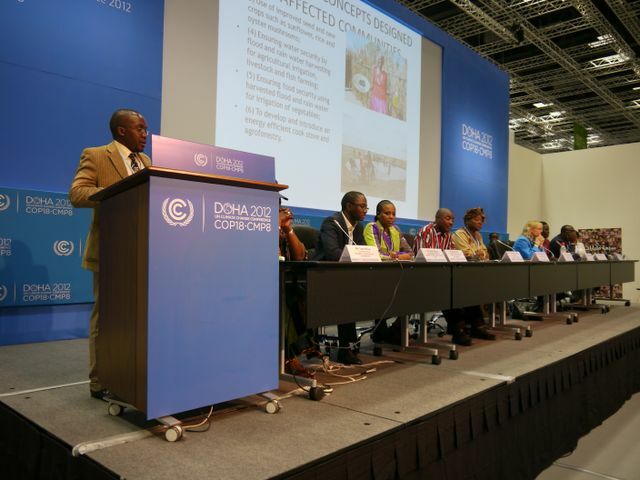 Country-drivenness is a key principle behind the CBA programme, and community-driven interventions are leveraged to contribute to national climate change adaptation priorities. This is ensured through CBA National Coordinating Committees in each country, which consider CBA project proposals for approval based on criteria including technical feasibility, project quality, and consistency with national adaptation priorities. Cooperation among member countries promoted for innovation in the design and implementation of adaptation to climate change including variability projects and policies. To these ends, the CBA project uses three indicator systems: the Vulnerability Reduction Assessment, the SGP Impact Assessment System, and the UNDP Climate Change Adaptation Indicator Framework. 1. Vulnerability of livelihood/welfare to existing climate change and/or climate variability. Example: What happens when there is drought? How does this affect you and your community? 2. 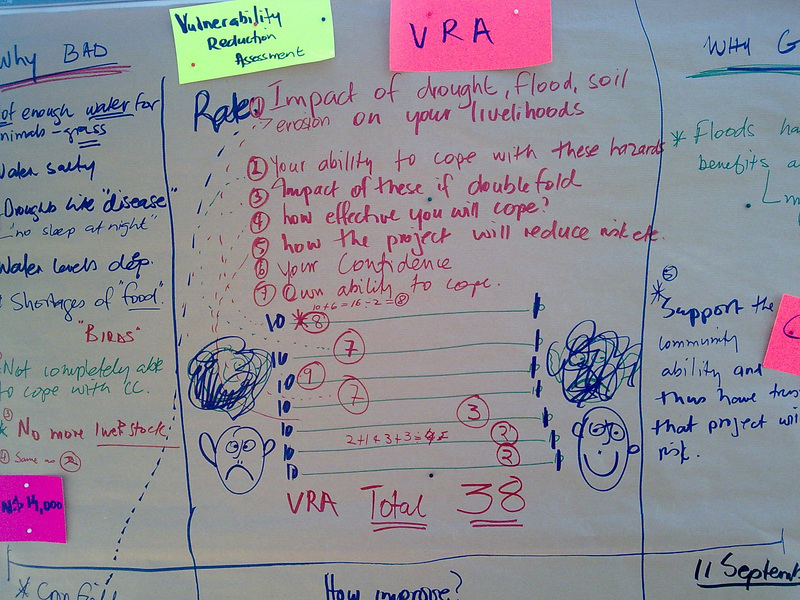 Vulnerability of livelihood/welfare to developing climate change risks. Example: What would happen if drought was twice as frequent? How would this affect you and your community? 3. Magnitude of barriers (institutional, policy, technological, financial, etc) barriers to adaptation. Example: What stands in the way of adapting to increasing drought? What means do you or your community have to manage events occurring more frequently? Example: Rate your confidence that the (project activity) will continue after the project period. Community-Based Adaptation activities in Viet Nam focus on adaptation through natural resource management among resource-dependent communities, and will be guided by the Viet Nam CBA Country Programme Strategy. Viet Nam’s climate, topography and long coastline makes it particularly vulnerable to climate variability and natural disasters. Most analysis and scenarios suggest that climate change will exacerbate this vulnerability, particularly in coastal regions. However, uncertainty over the precise scale and nature of climate change remains. The Ministry of Environment and Natural Resources (MONRE) (2003) climate simulations, including a range of possible scenarios, suggested mean annual temperature changes for Viet Nam of 1.5-2.5°C by 2070, while the IPCC projects that this change might be greater (IPCC, 2007). Changes in precipitation are less certain, but increases are generally suggested (MONRE 2003). Projected changes in potential evapotranspiration vary with scenario, but could be increased by 3% with a temperature increase of 1°C, to an increase of 8% given a temperature increase of 2.5°C. 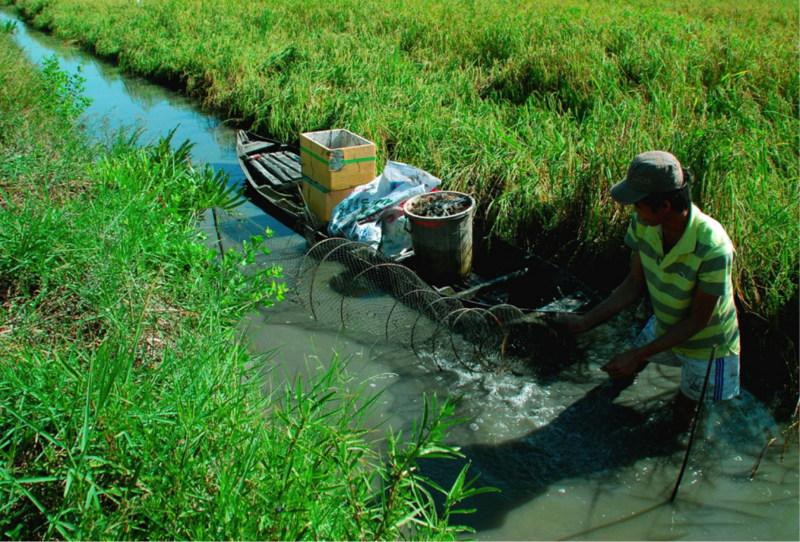 Recent studies conclude that Viet Nam is extremely vulnerable to these impacts. Dasgupta et al's (2007) analysis suggests that Viet Nam is one of world’s top five most vulnerable countries to sea level rise and the most vulnerable to impacts in East Asia. 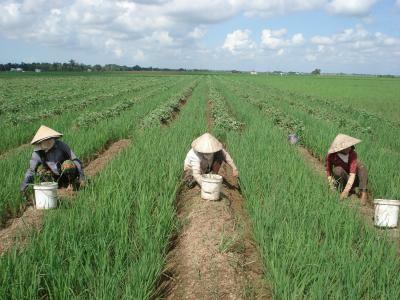 One metre SLR would affect approximately 5% of Viet Nam’s land area, 11% of the population, 7% of agriculture, and reduce GDP by 10 percent. The very long-term projections for 3- and 5-metre sea level rise for Viet Nam are described as potentially catastrophic. Climate change may drive other changes too, including prolonged dry seasons and increasing storm frequency and intensity. During the last quarter of 2007, Viet Nam suffered serious damages from a series of recurrent disasters in the form of floods, storms and typhoons without precedent in the history of the country. The Government of Viet Nam ratified the United Nations Framework Convention on Climate Change (UNFCCC) on 16 November 1994 an submitted its Initial National Communication (INC) to the UNFCCC in 2003. Adaptation measures recommended by the INC are preliminary. The Second National Communication (SNC) to the UNFCCC will emphasize adaptation, and will provide guidance to promote Climate Change adaptation measures in Viet Nam. The preparation process for the SNC highlighted a number of barriers to implementing Climate Change adaptation measures in Viet Nam, including weak national and local capacity to undertake CC impact analysis and to identify cost-effective adaptation measures. Limited awareness and poor data to support planning and implementation climate change adaptation measures is also a key barrier. 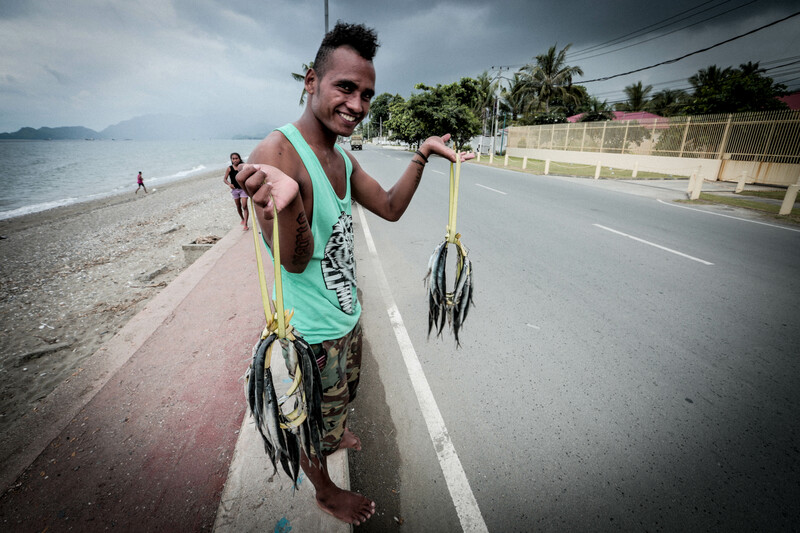 Community-based projects and activities are needed to pilot cost effective CC adaptation measures, and to feed to national policies and programmes on CC adaptation. Viet Nam’s traditional perception of disasters is water-related. Floods, storms and droughts count for nearly 80% of the natural disasters in Viet Nam. Climate change adaptation and disaster management in the face of climate change should address multiple hazards and emphasise vulnerability reduction and other long term measures over short-term preparedness and response. Viet Nam’s high capacity to respond to floods and storms is recognized internationally, but this capacity is not equivalent in responding to long-term CC impacts, including droughts and salt water intrusion. There is a strong need to build and strengthen capacities throughout the sectors and localities to manage these impacts based on a comprehensive understanding of the linkage between baseline disaster risks, and impacts from long-term climate change. 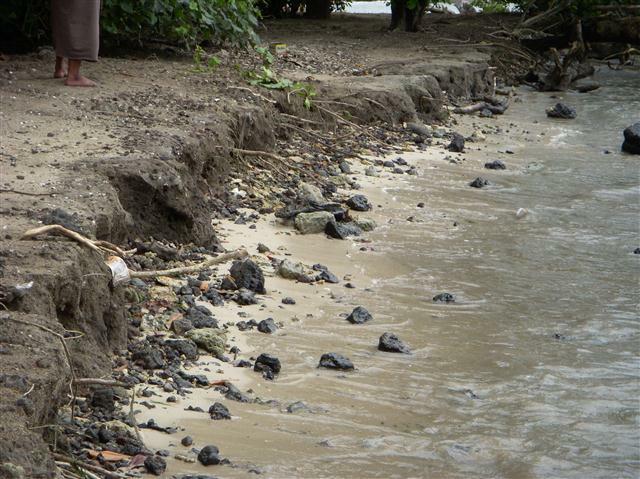 Vulnerable communities need to increase their understanding of CC risks and need improved access to resources and facilities to implement CC adaptation measures. It is important to ensure that the allocation of resources and prioritization of adaptation actions takes into account these local needs and emphasizes vulnerability reduction as a core strategy. 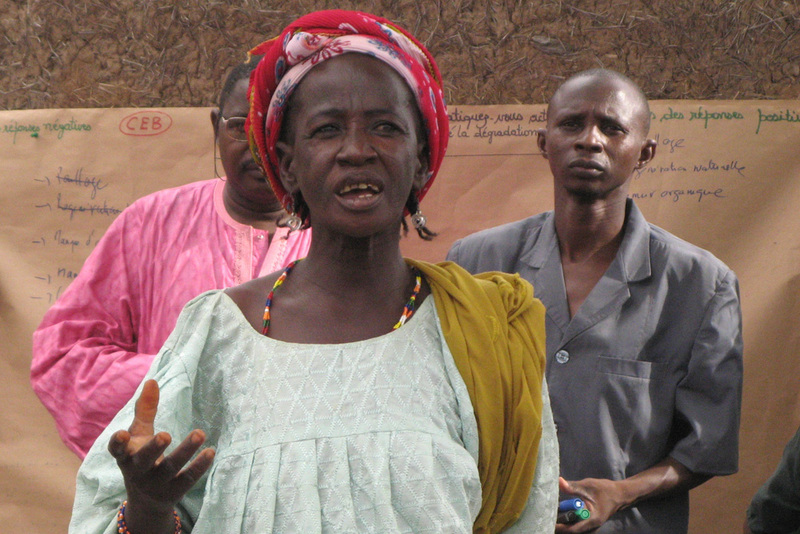 UNDP, in collaboration with The GEF Small Grants Programme, has designed the Community-Based Adaptation (CBA) project to achieve the goal of reducing vulnerability and increasing adaptive capacity to the adverse effects of climate change in the GEF focal areas, building the resilience of communities, ecosystems, and resource-dependant livelihoods in the face of climate change. 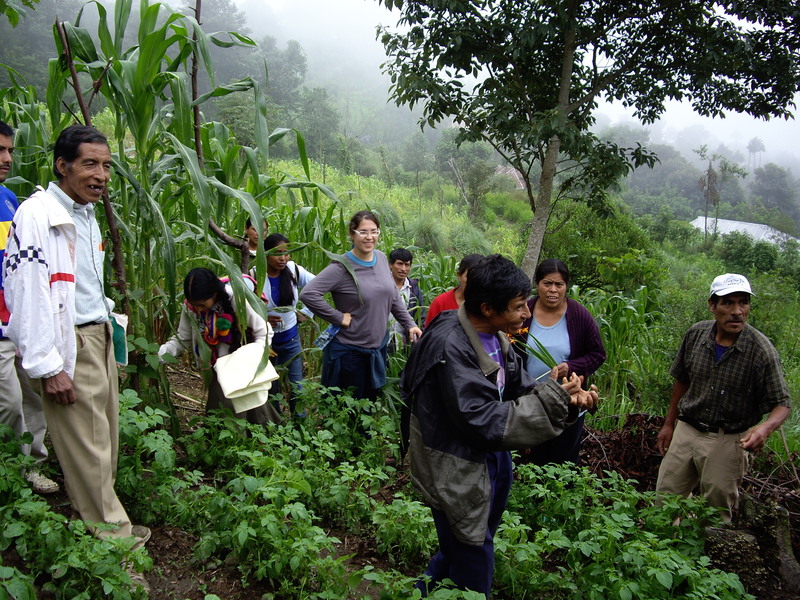 CBA pilots community-based projects that enhance community-level adaptive capacity to climate change, while simultaneously generating global environmental benefits in a GEF focal area. Viet Nam is one of the ten (10) participating countries of the CBA project. The CBA Country Programme Strategy (CBA CPS) is developed to clearly outline for CBA Viet Nam the approach and provide guidance about operations, monitoring and evaluation, and knowledge management. The CBA CPS adapts the global CBA to specific country conditions, taking into account existing national strategies and plans, as well as those relating to national sustainable development and poverty eradication. The CBA CPS puts emphasis on certain thematic and geographic focus to ensure synergy and impact, as well as to facilitate programme administration. Addressing strong linkages between baseline disaster risk and CC impacts, CBA in Viet Nam focuses on drought and salt water intrusion issues in the Central Coast region. Integrated climate risk management practices as they relate to natural resource management, including biodiversity, land and water, contribute to minimize the adverse effects of climate change in terms of biodiversity loss and land degradation & desertification. Droughts and salt water intrusion are threatening food security and seriously affecting agroforestry development and fisheries in the face of climate change in the Central Coast. Strengthening local adaptive capacity to minimise the impacts of droughts and salt water intrusion will promote sustainable livelihoods and reduce poverty in the face of climate change impacts. In line with the above scope, a portfolio of 10 projects were developed for the CBA Viet Nam. 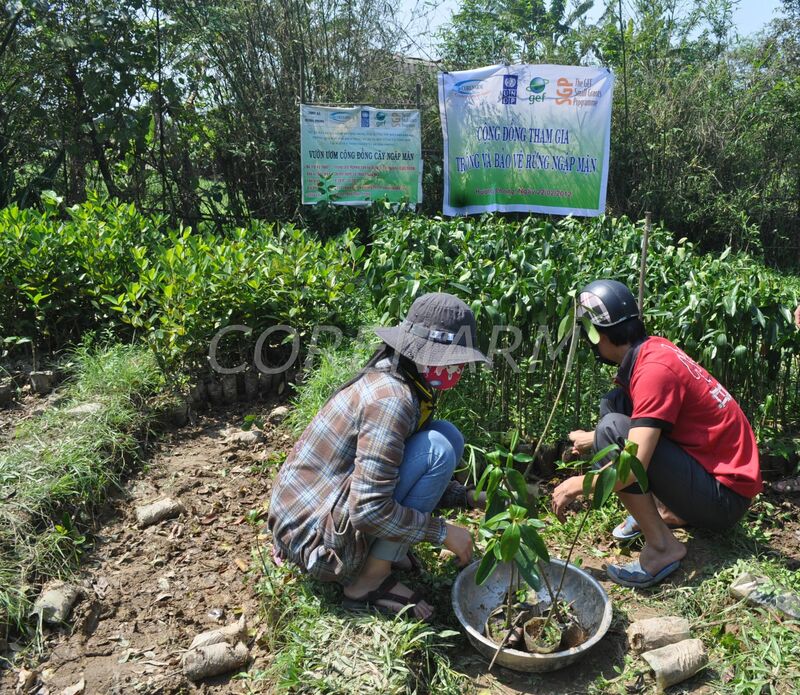 The objective of the CBA programme in Viet Nam is to integrate climate change risk reduction practices into existing sustainable management of biodiversity and land resources in the Central Coast in Viet Nam. CBA projects will support the integration of climate change risks into these activities, while baseline NRM activities will be supported through co-financing. Inclusion of CC adaptation in the local strategy and action plan on sustainable development (provincial agriculture and fisheries sectors). Evaluation through number of inclusions made into strategies and plans. Rate of loss of natural resource base for livelihoods determined to be negatively impacted by climate change. 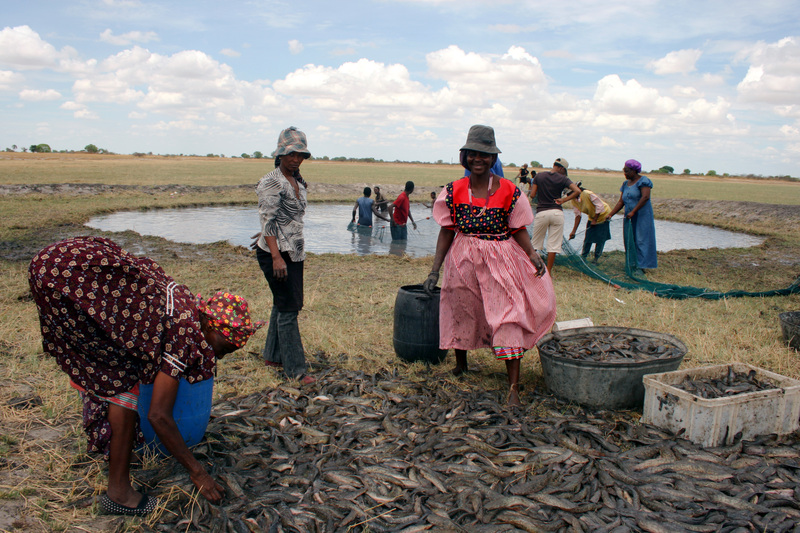 Livelihoods options better suited to climate change available to target community. Number of families/households benefiting from climate change resilient sustainable resource management activities. Number of lessons learnt/ best practices from the CBA Viet Nam to contribute to national/provincial CC adaptation programmes. Community understanding about CC issues. These indicators will be measured at the level of the national CBA programme with each project making a contribution towards an impact at the national/provincial levels. 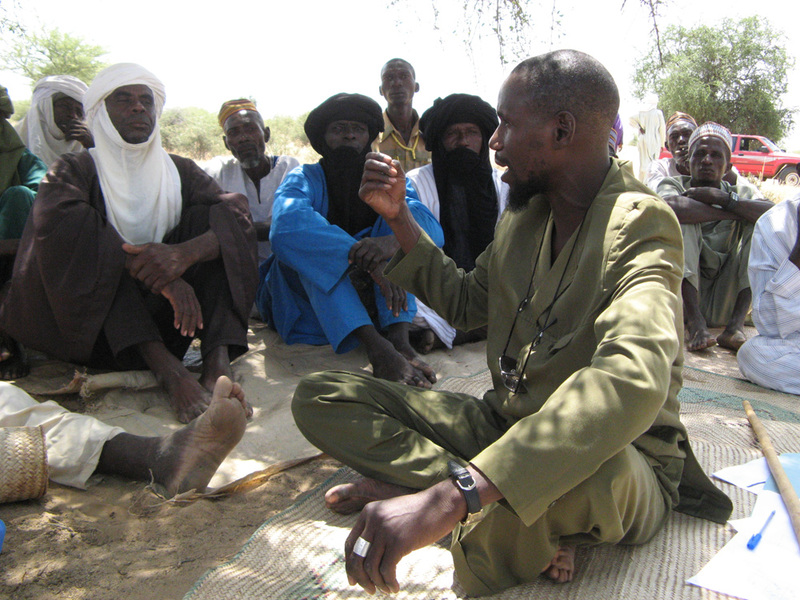 CBA projects work with communities in Niger's Sahel to build resilience to climate change within agro-pastoral ecosystems, supporting rural livelihoods, and particularly focusing on the needs of women. 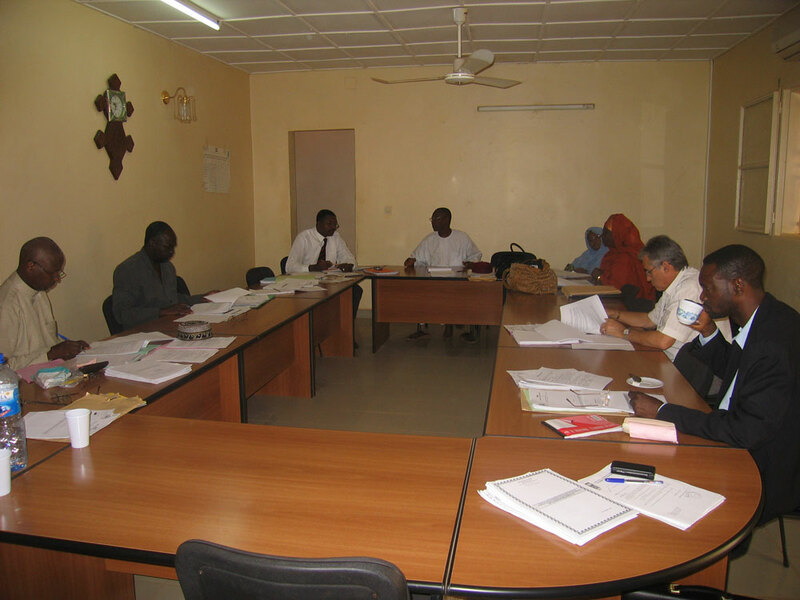 Activities will be guided by the Niger CBA Country Programme Strategy (English Abstract). 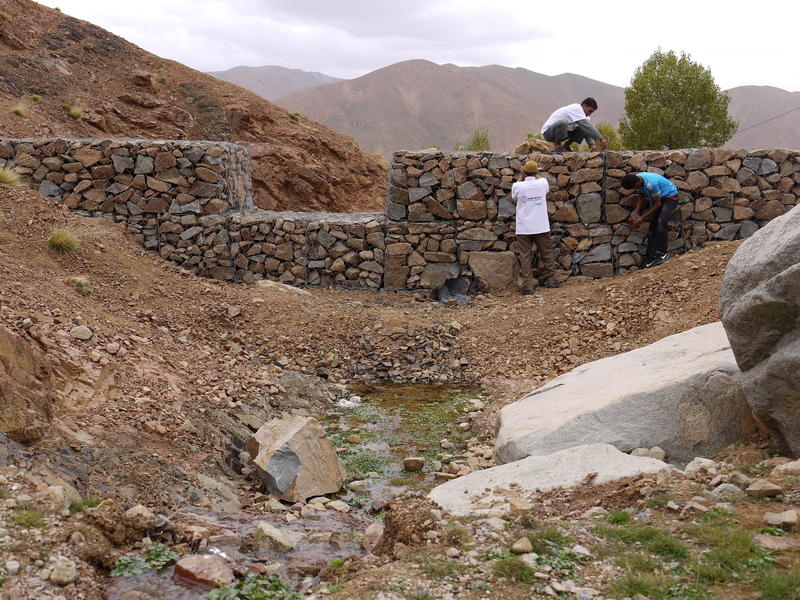 All CBA projects involve non-governmental organizations (NGO) at the local and national levels. The UN Volunteers is a project partner in seven (7) out of the ten (10) CBA countries: Bolivia, Guatemala, Jamaica, Morocco, Niger, Namibia, and Samoa. In addition to the Adaptation & Volunteerism Specialist overseeing the seven (7) countries, an International UNV officer in Niger is fully dedicated to the CBA projects at the local level. The partnership began in June 2009. 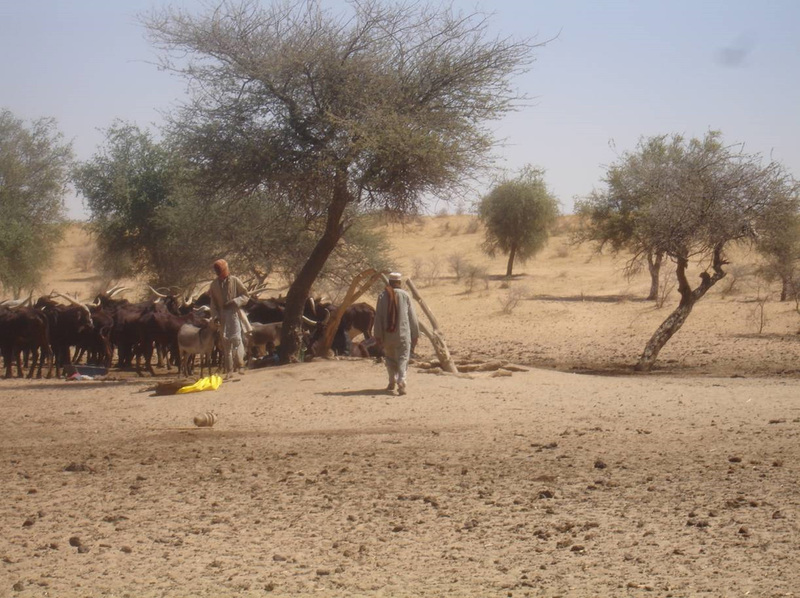 The impacts of climate change will significantly exacerbate livelihood/subsistence risks for rural agropastoralists in Niger. 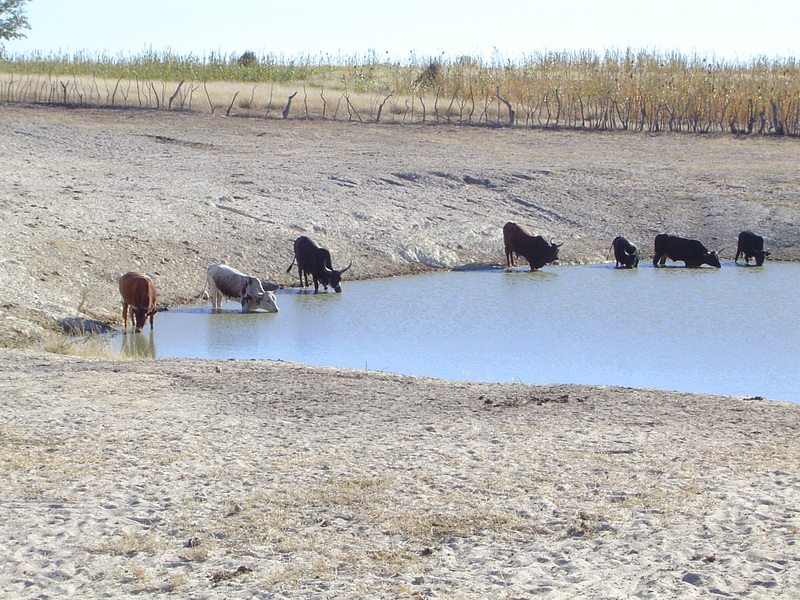 Increasing aridity and increasing climate variability will threaten the production systems upon which rural communities rely, increasing erosion and worsening desertification risks. 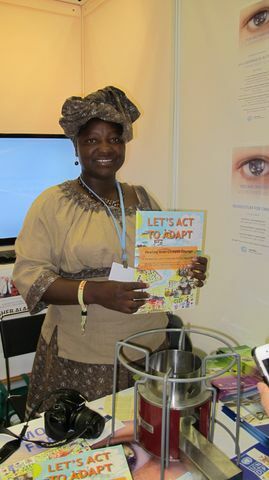 Thus, climate change impacts pose serious risks to sustainable development, poverty reduction, and attainment of the Millennium Development Goals in Niger. 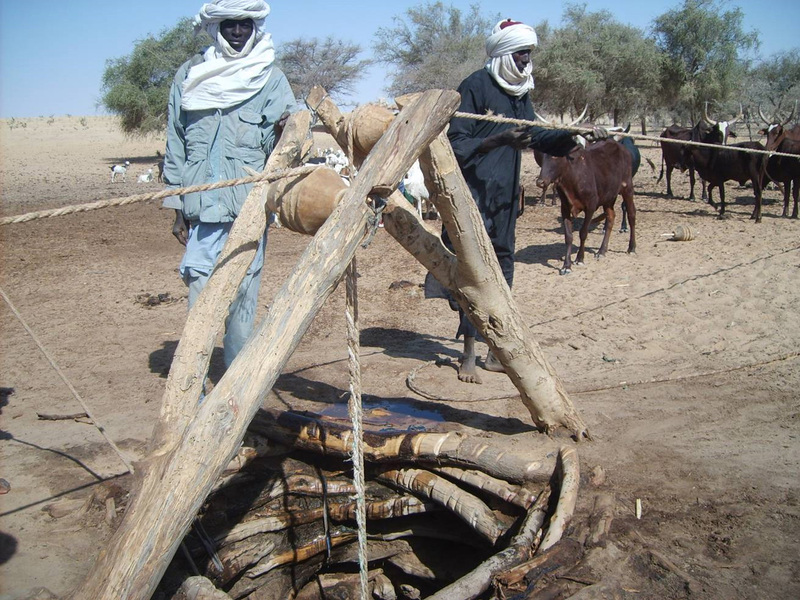 Rural agricultural and pastoral communities – the large majority of Niger’s population – are reliant upon climate-sensitive rangeland, woodland, and agricultural ecosystems for their livelihoods and subsistence. 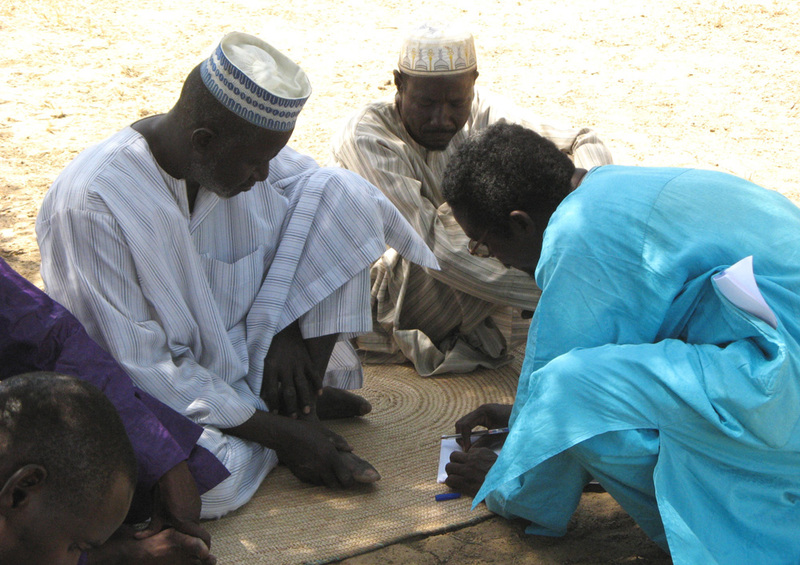 In response, the Community-Based Adaptation project in Niger will improve the capacity of communities to adapt to climate change impacts, while also building capacity to incorporate climate change considerations into sustainable land management practices. This will, in turn, further increase ecosystem resilience in the face of climate change, as well as generate global environmental benefits in the GEF Land Degradation focal area. At the local level, projects will seek to increase the resilience of community livelihoods in the face of climate change impacts through sustainable natural resource management practices that also generate global environmental benefits in the Land Degradation focal area. 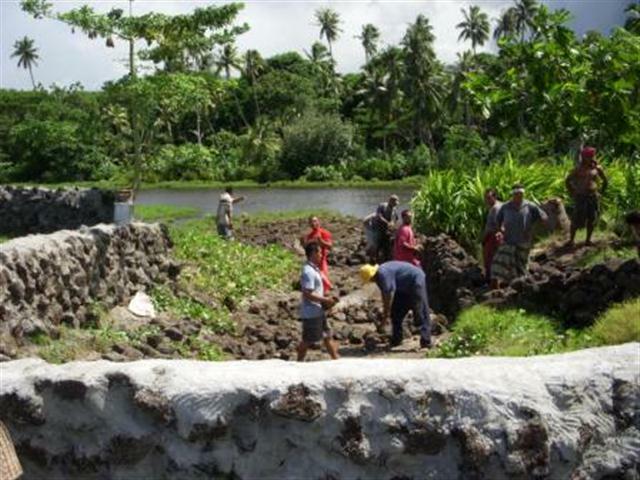 At the national level, projects will provide lessons on Community-Based Adaptation to inform national adaptation strategies, policies, and activities. 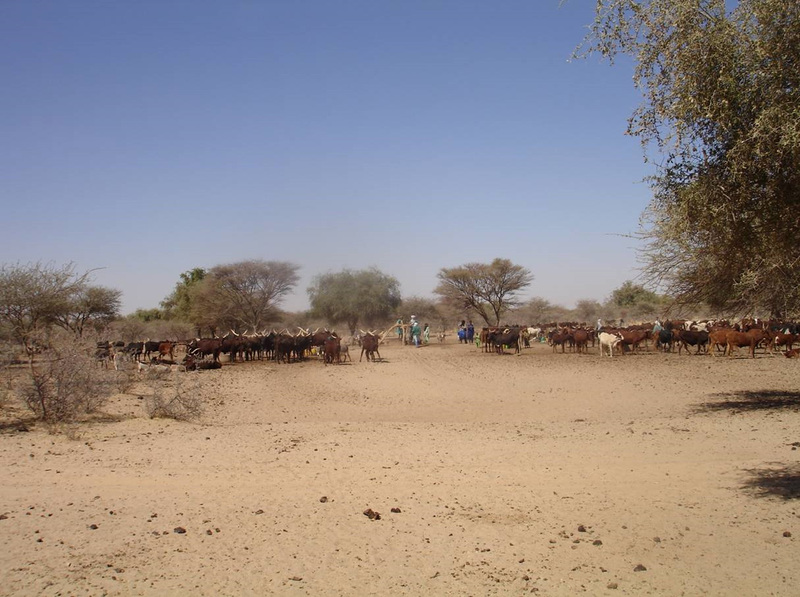 Climate change projections for Niger include increased temperatures and changing rainfall patterns. Temperatures are predicted to increase steadily, increasing by 3-4°C during the 21st century, with increases concentrated in the main rainy season. Rainfall projections are less certain, though assessments completed for the IPCC 4th assessment report suggest increases in yearly average rainfall, with rainfall coming in increasingly intense and erratic storms, and with significant inter-annual variability. Increasing evapotranspiration driven by temperature increases, in combination with increasingly rainfall variability, is likely to decrease water availability significantly, and increase the proportion of drought years. Climate change impacts in Niger will manifest in the context of significant baseline inter-annual and inter-decadal patterns of climate variability. All CBA projects involve non-governmental organizations (NGO) at the local and national levels. In addition, the UN Volunteers is a project partner in seven (7) out of the ten (10) CBA countries: Bolivia, Guatemala, Jamaica, Morocco, Niger, Namibia, and Samoa. 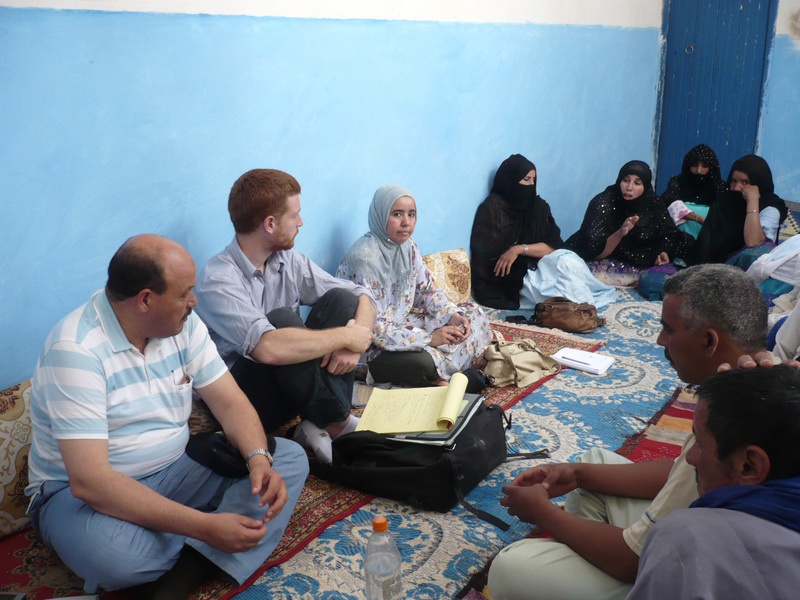 In addition to the Adaptation & Volunteerism Specialist overseeing the seven (7) countries, an International UNV officer in Morocco is fully dedicated to the CBA projects at the local level. The partnership began in June 2009. Morocco is situated in the extreme north-west of Africa, bordered to the east and to the south-east by Algeria, to the south by Mauritania, to the west by the Atlantic Ocean and to the north by the Mediterranean Sea. 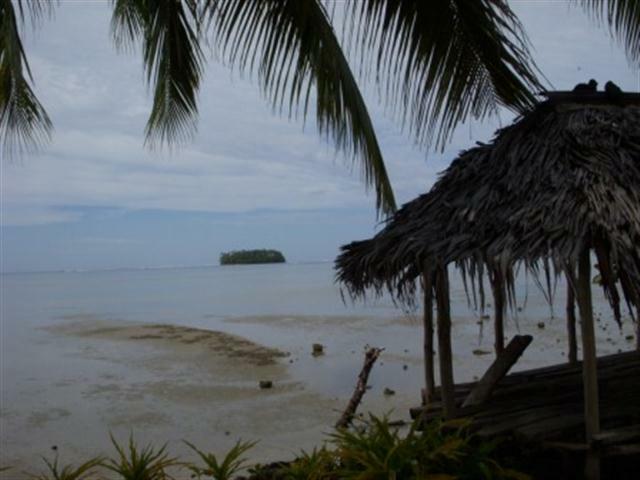 Climate change poses serious risks the country's natural and artificial environments. Climate scenarios and reports have indicated a high probability that temperatures may rise across the country. According to annual estimates of temperature, they could increase from 0.6 °C to 1.1 °C between 2000 and 2020. The scenarios have also indicated that sea levels could rise 2.6 to 15.6 cm compared to the average level in 1990. The most recent climate model results (2006) have also shown that there could very well be a reduction in rainfall of around 4%. The reduction in the duration of snowfall and less snow cover (altitude migration of the isotherm 0 °C and accelerated melting of snow). 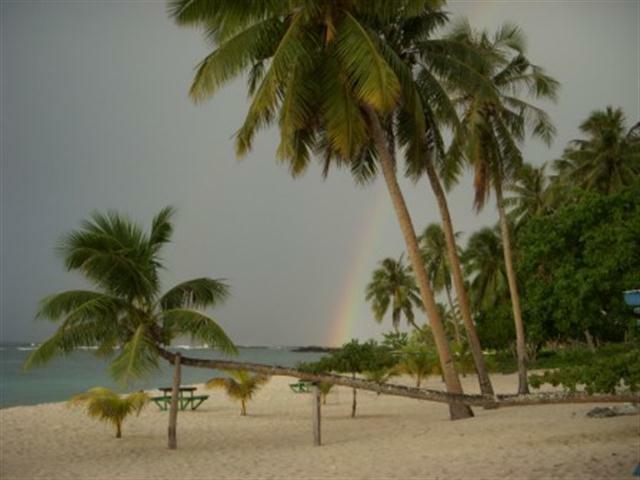 The loss of biodiversity (fauna and flora) and of their habitats in the different coastal ecosystems and particularly in coastal Sites of Biological and Ecological Interest (SBEIs). A decrease in water resources for consumption or other economic activities (tourism and industry), as well as a deterioration in the quality of water. 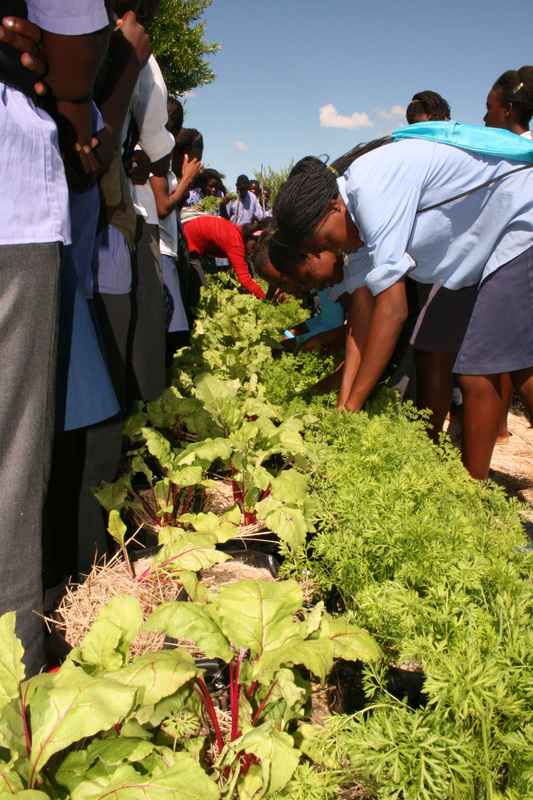 The Community Adaptation Programme (CBA) seeks to address a number of these challenges at the local level through capacity building activities and improved natural resource management. 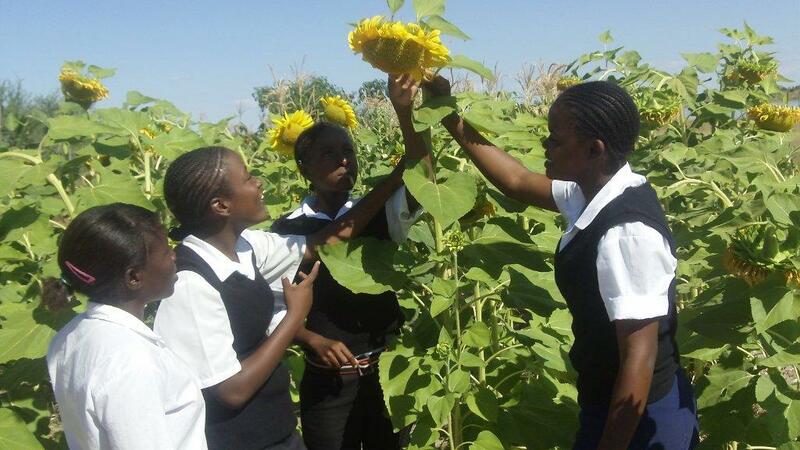 This is accomplished through the funding and implementation of community demonstration projects that also generate benefits for the global environment (Global Environmental Benefits, GEBs) and increase ecosystem resilience to climate change. 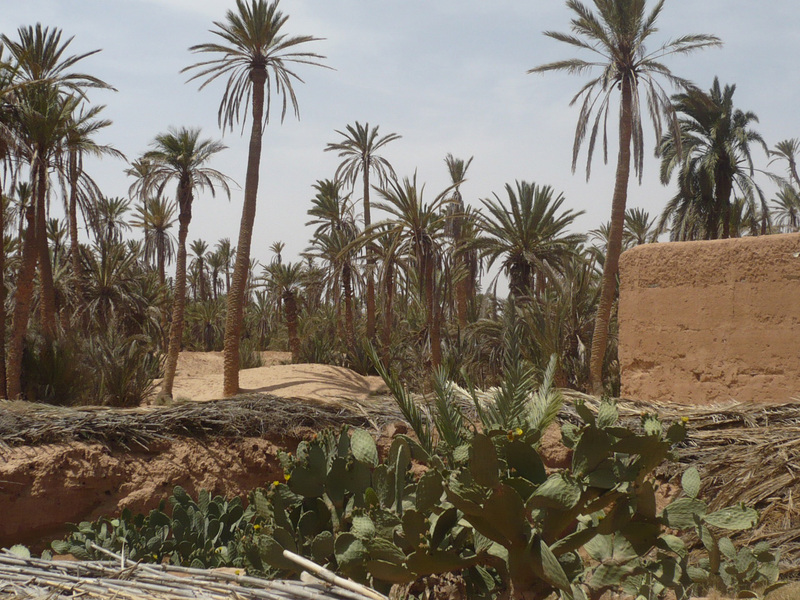 The main GEF focal areas that are targeted in Morocco in order to benefit the global environment are the preservation of biodiversity and the prevention of land degradation. The CBA programme works in close collaboration with national policies currently being implemented within the field of adaptation and will use the data and guidelines of the second national communication to articulate and clarify the priorities and the options. This collaboration facilitates the integration of lessons learned from community policies into national planning and policy and adaptation strategies. 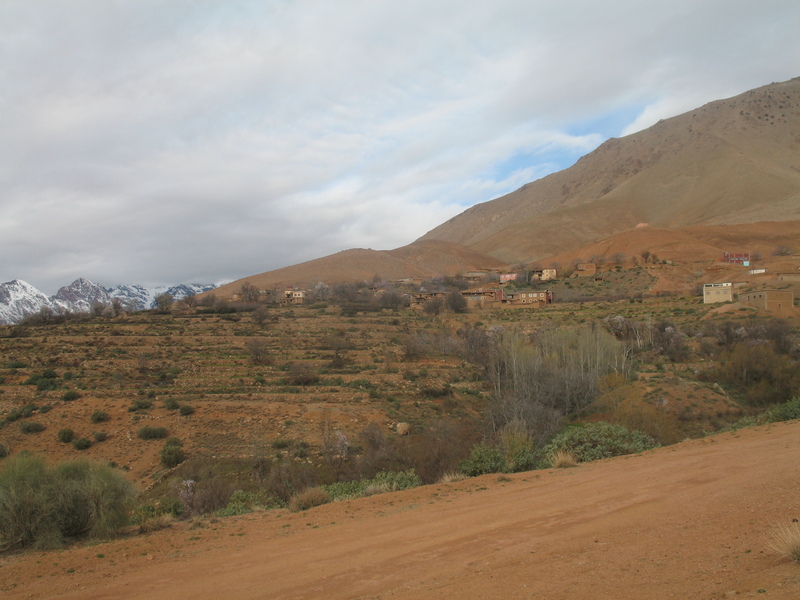 Forest areas (focus on the national parks and the SBEIs of the Middle Atlas Mountains). 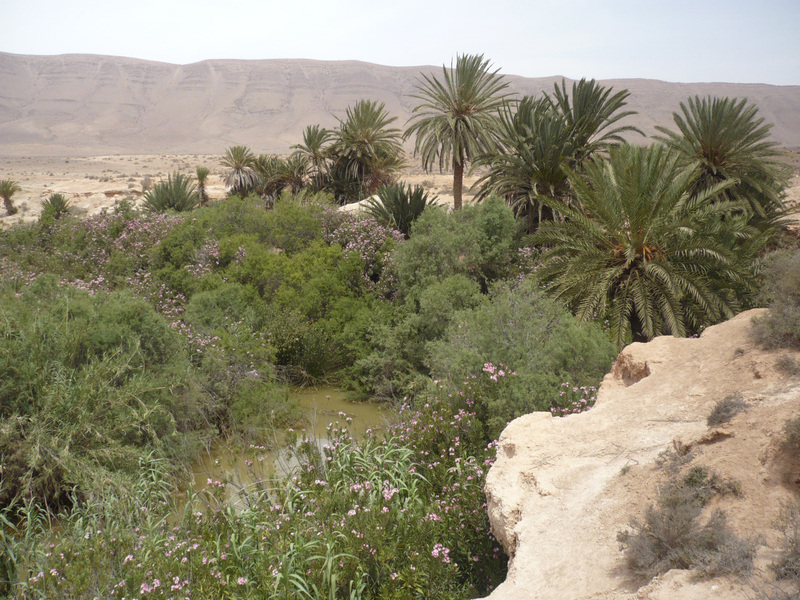 The arid and semi arid areas (particularly the Oasis). 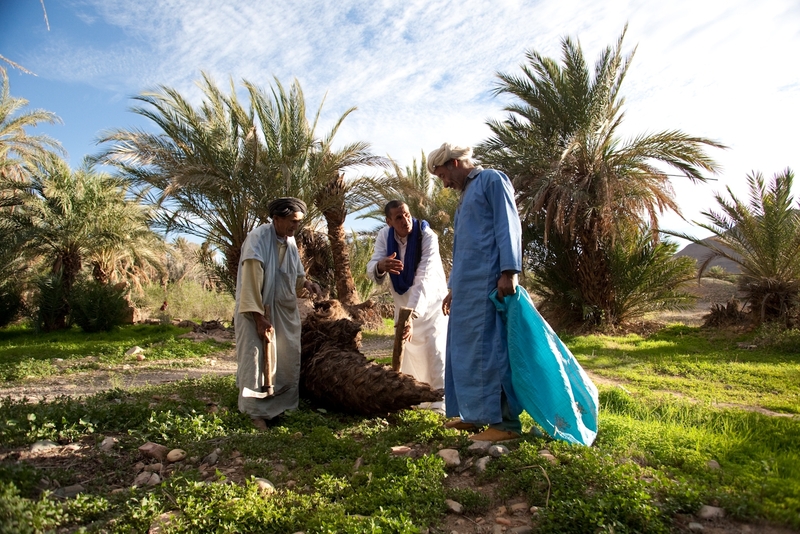 The CBA is implemented in Morocco under the supervision of UNDP using the mechanism of the Small Grants Program the Global Environment Facility (GEF SGP). 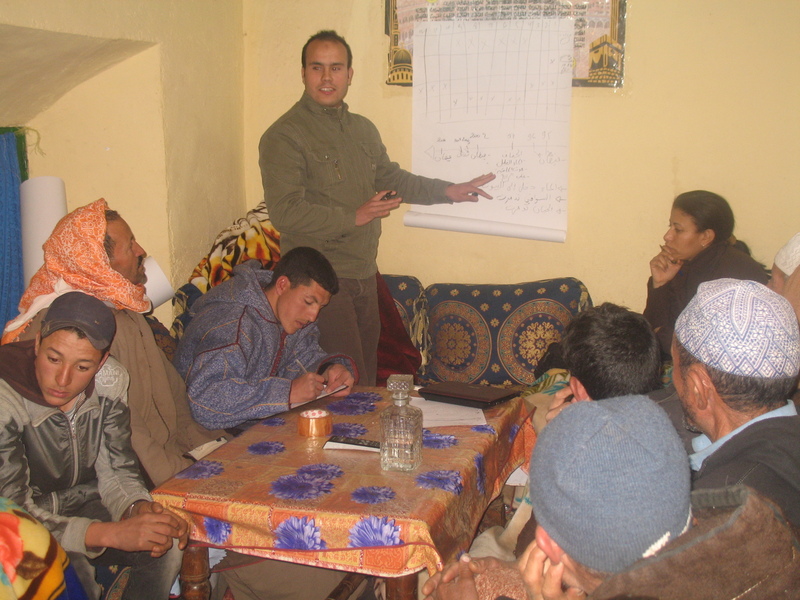 The objective of the community-based adaptation programme (CBA) in Morocco is to incorporate the risks of climate change into the sustainable community management of natural resources. The number of community measures identified and implemented to respond to the new risks posed by climate change. The number of hectares in which risk management activities related to climate change are implemented. The number of local and national policies adapted and developed from the lessons learned from projects carried out within the framework of the “CBA”.